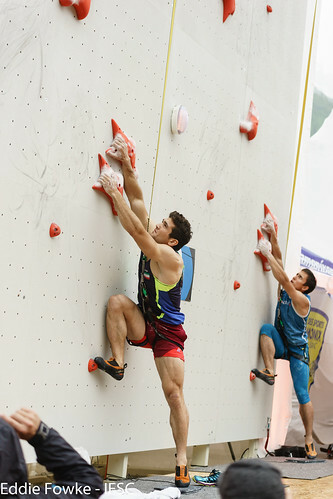 Power-endurance defined the taxing 45- degree Lead Finals routes. 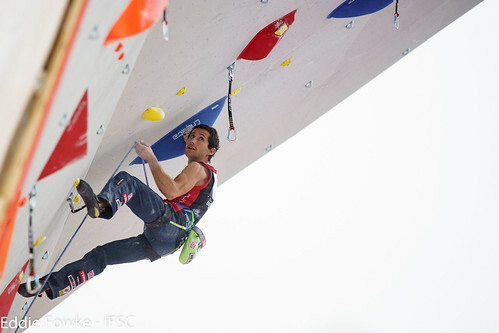 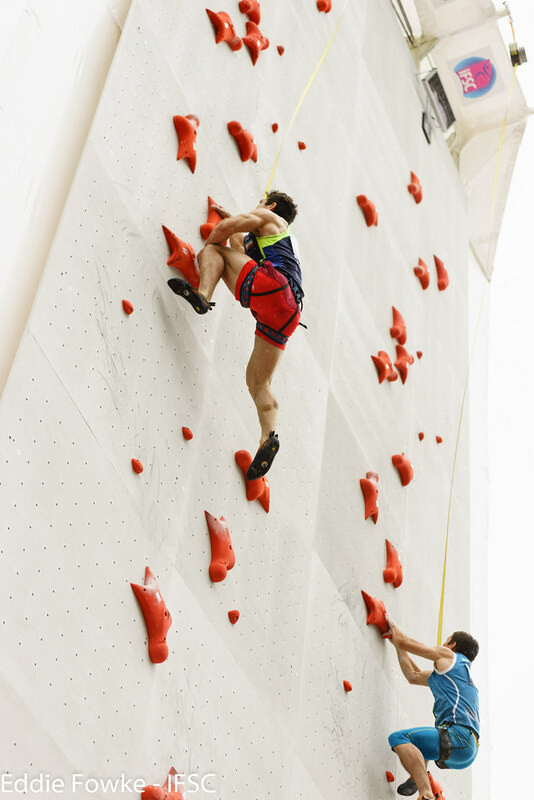 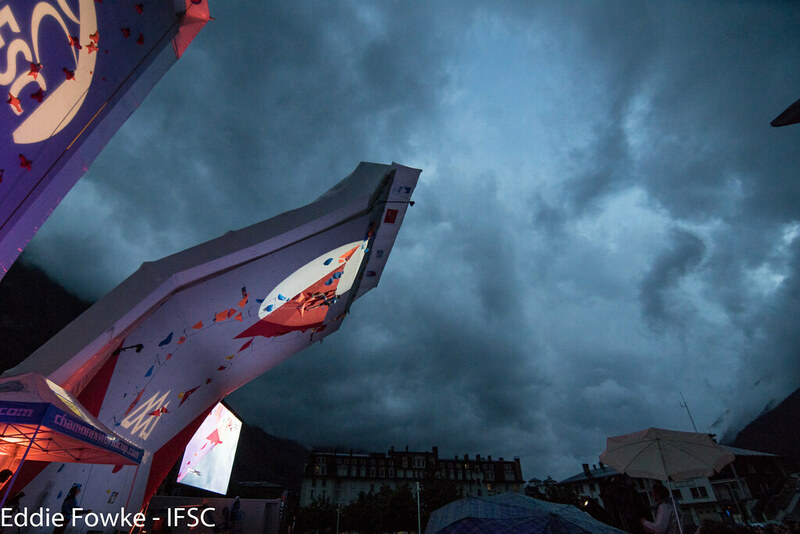 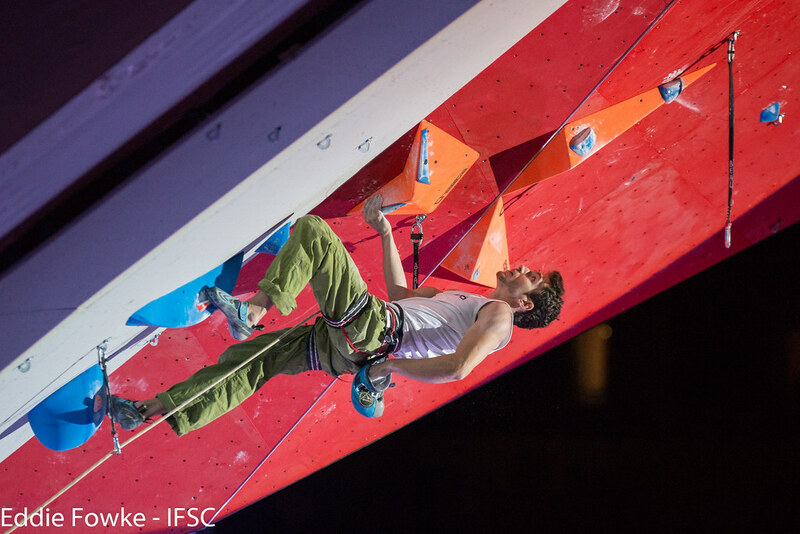 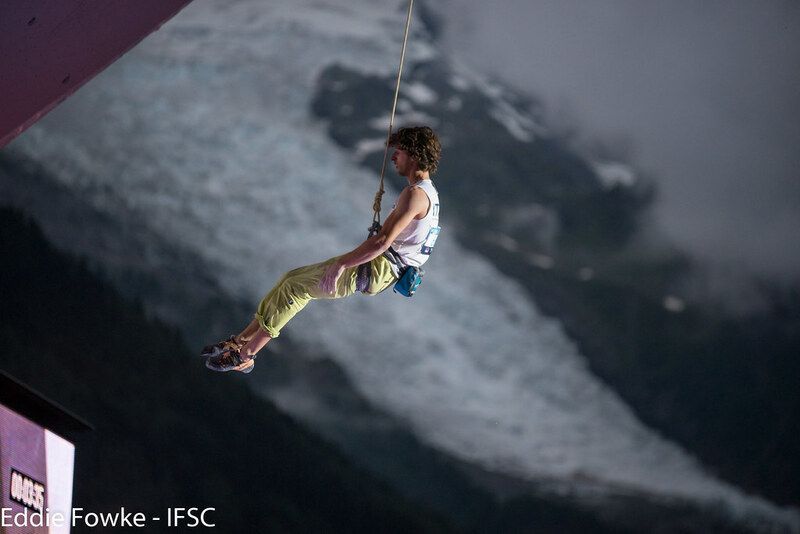 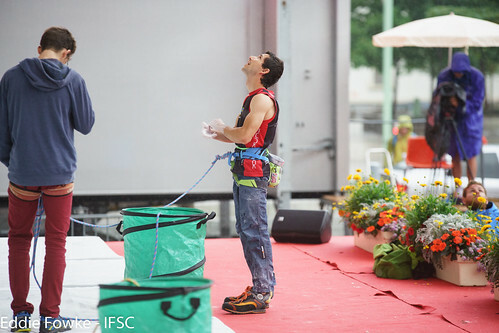 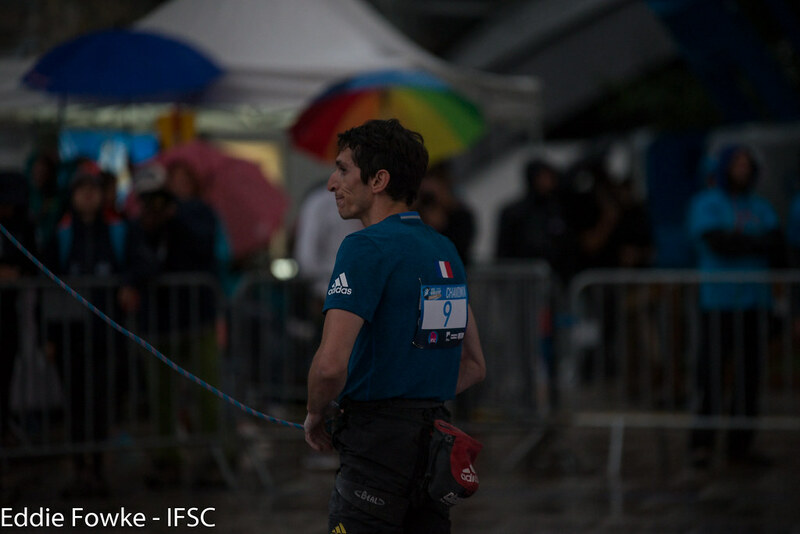 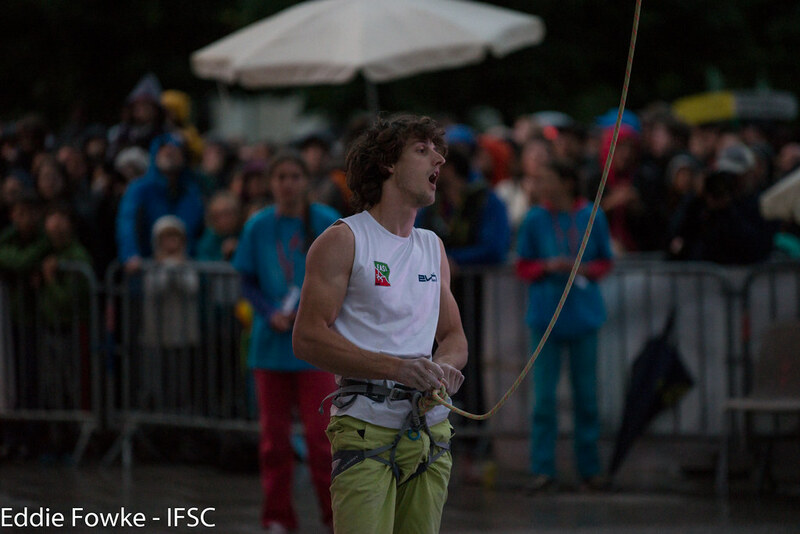 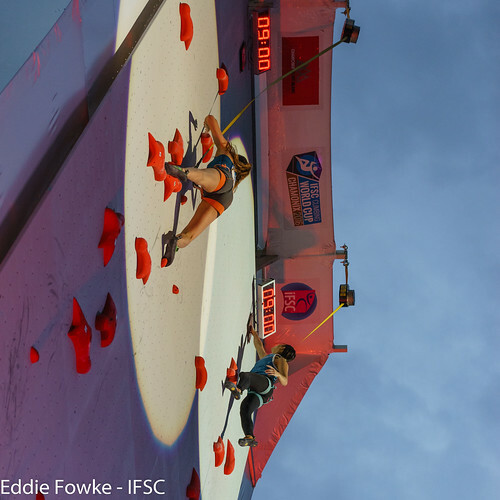 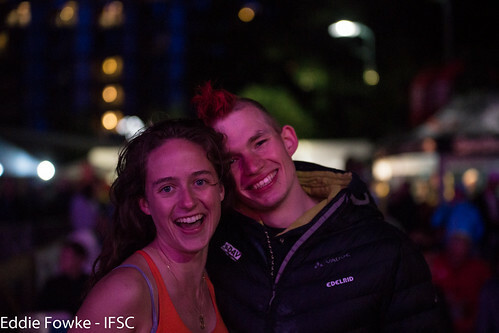 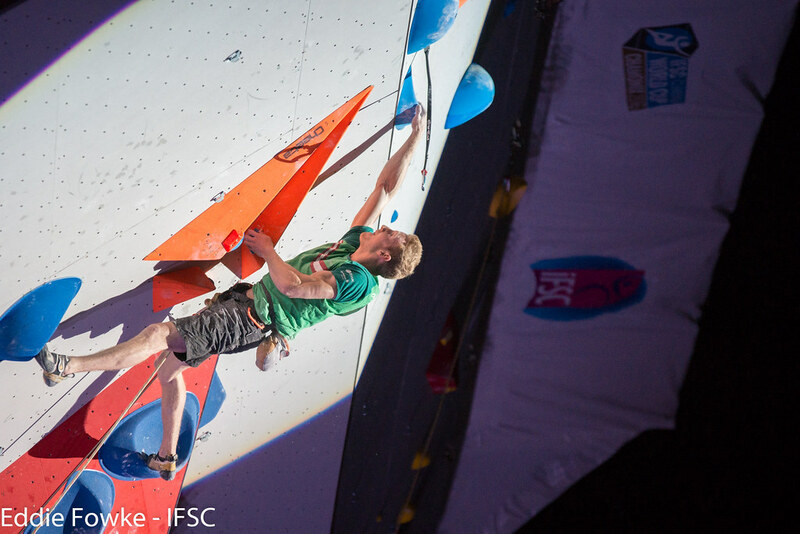 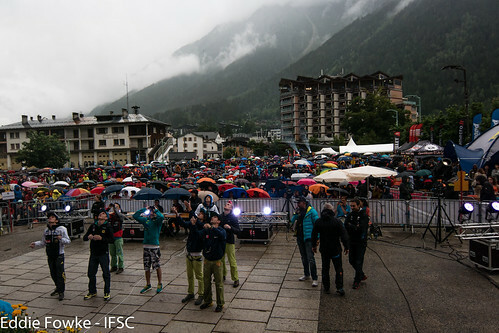 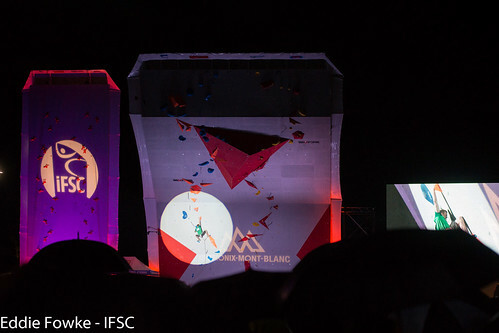 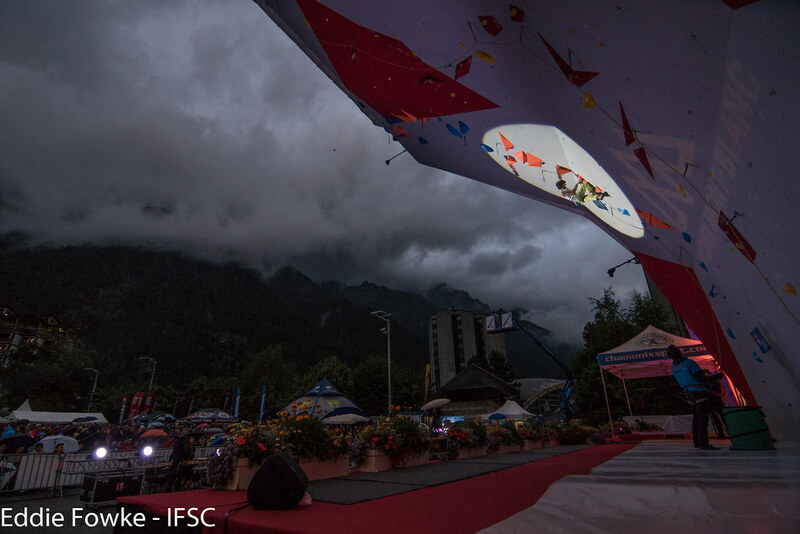 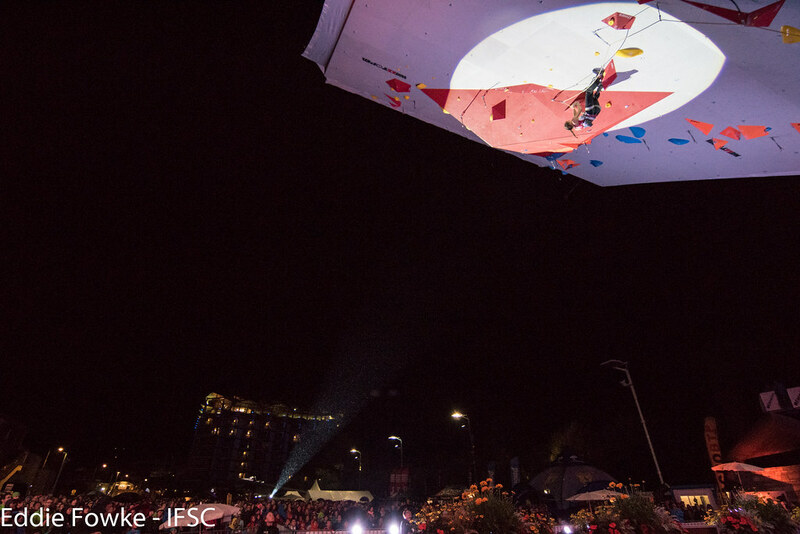 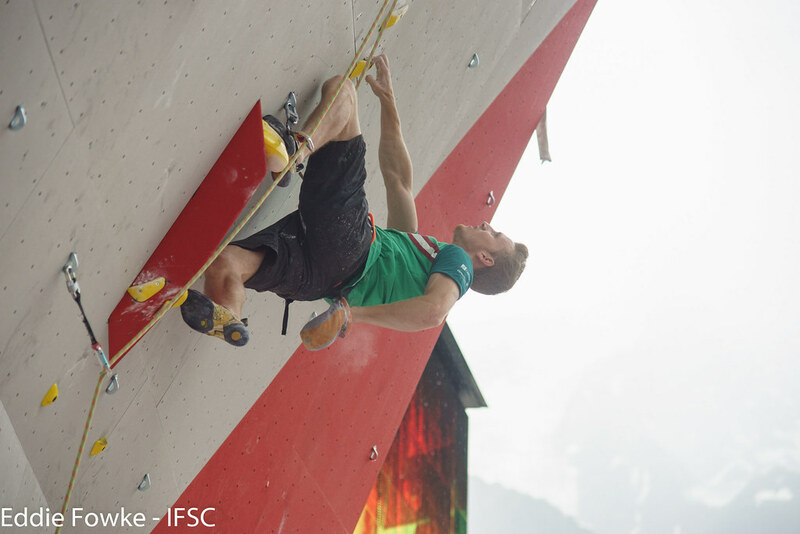 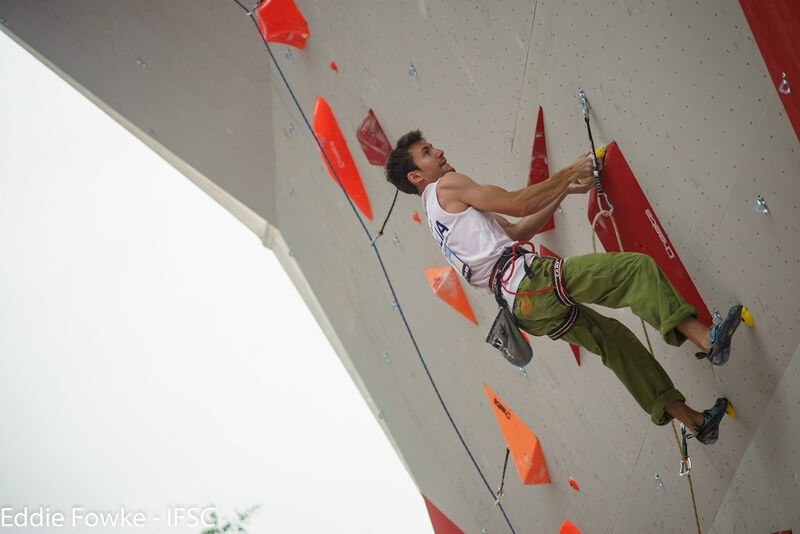 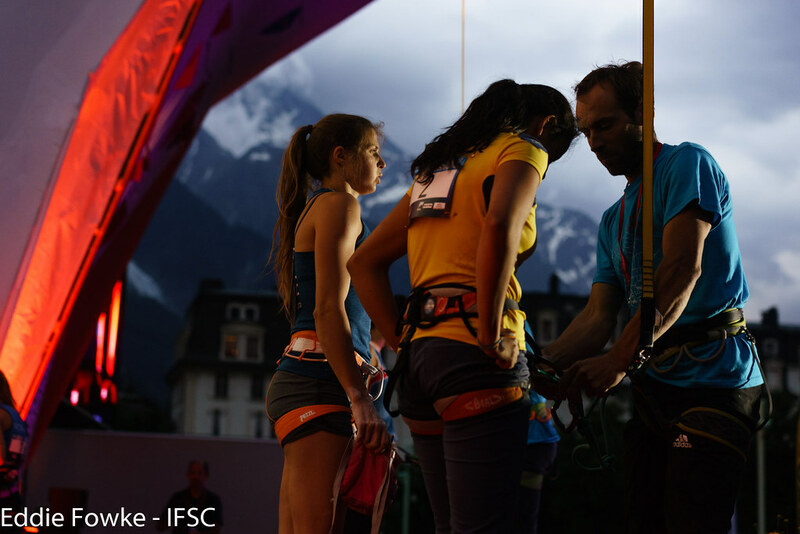 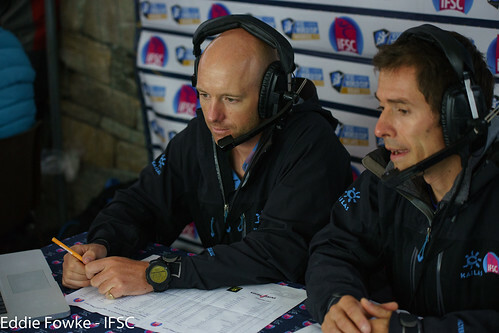 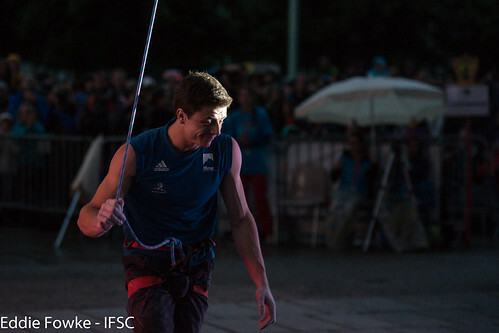 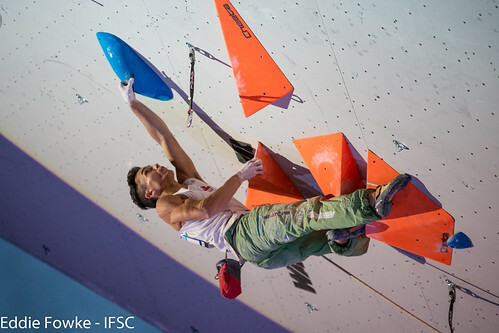 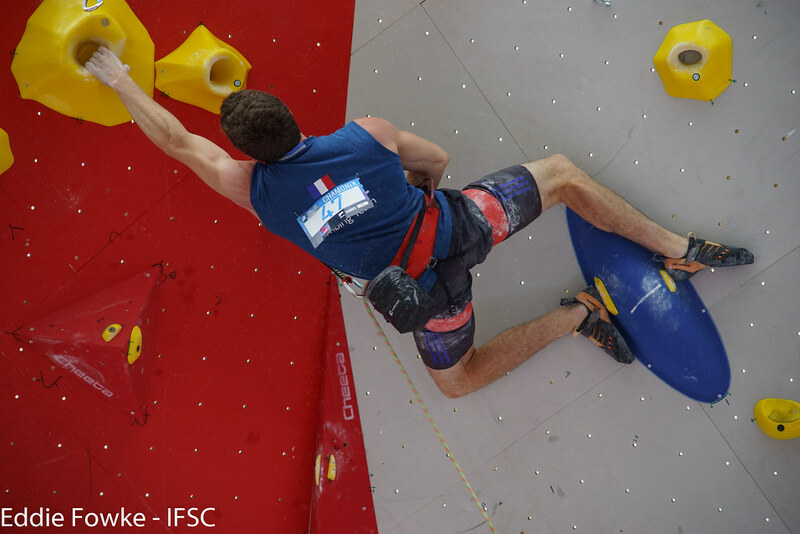 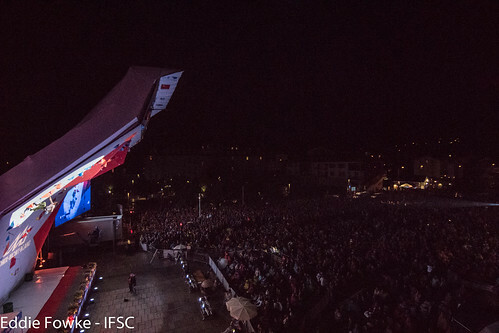 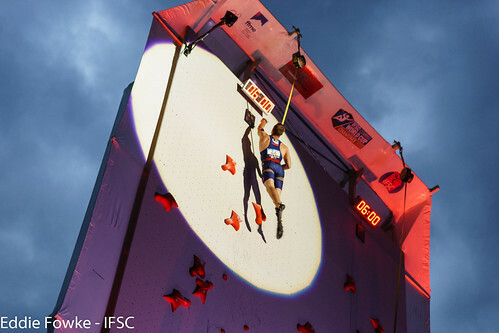 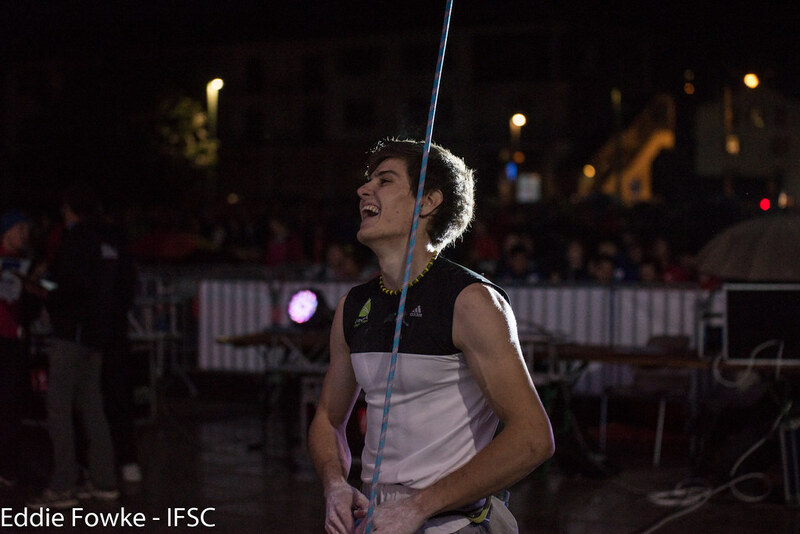 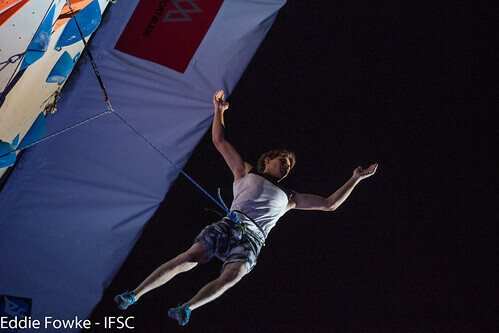 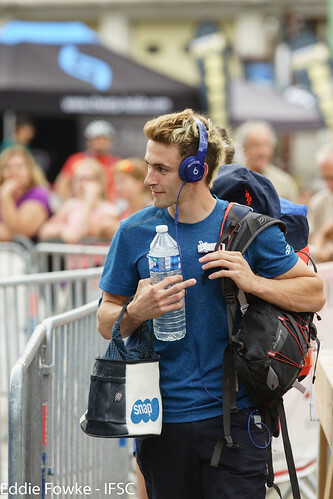 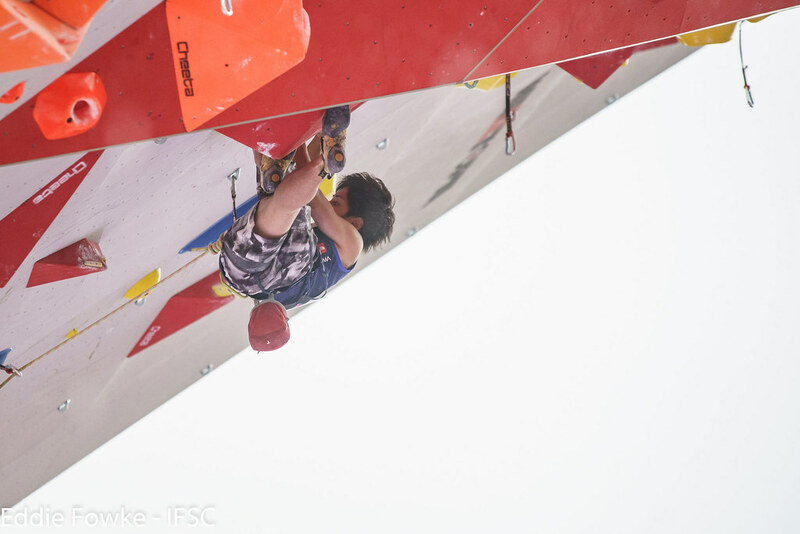 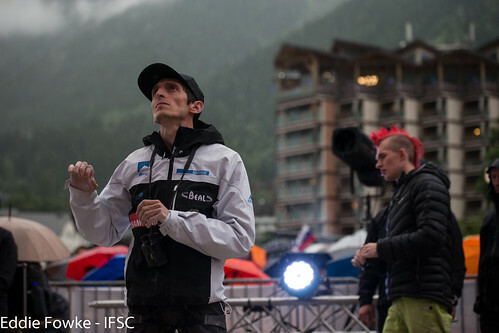 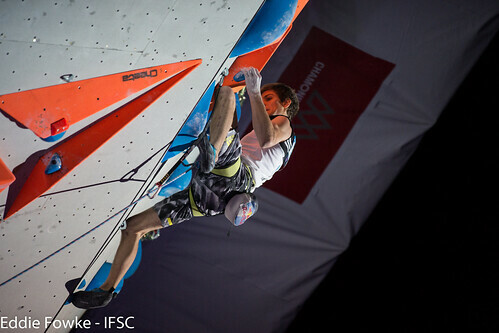 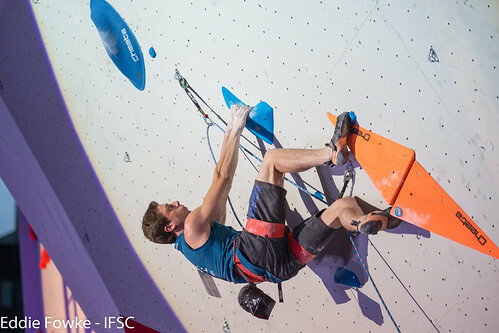 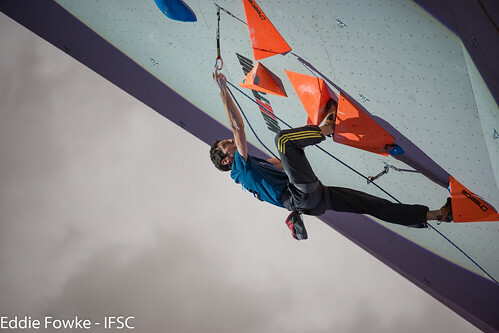 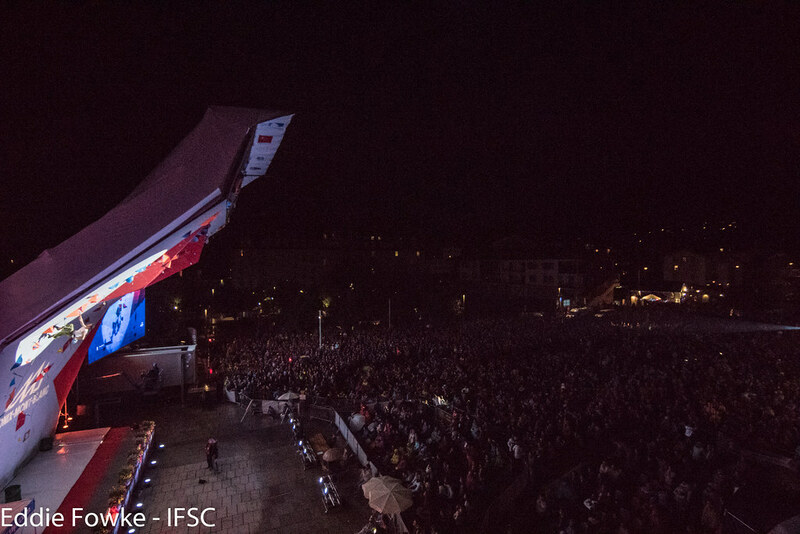 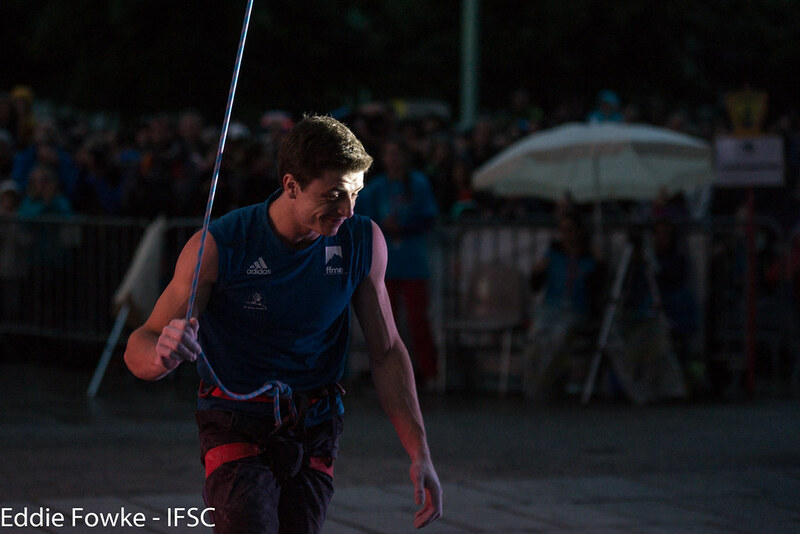 For the Men, Gautier Supper of France pleased his home crowd by sticking the blank volume on the less-steep concluding panel, but the final three climbers followed in kind. 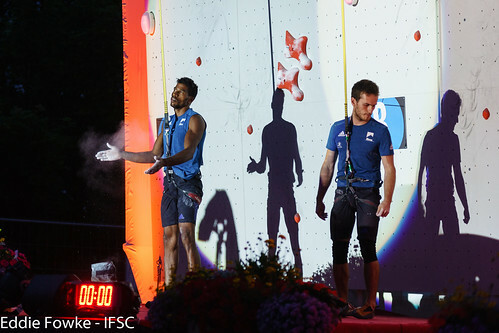 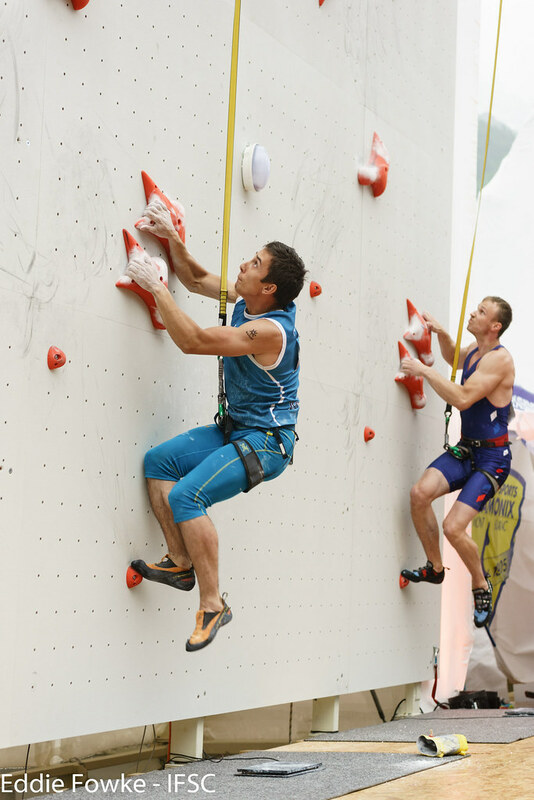 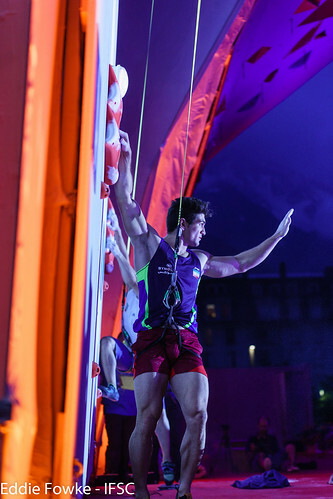 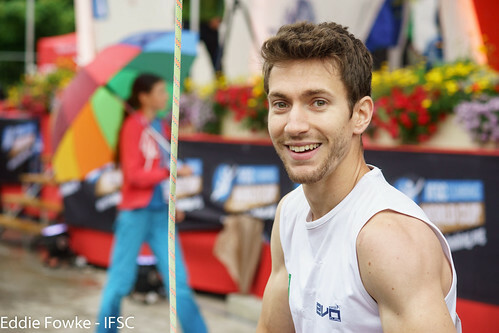 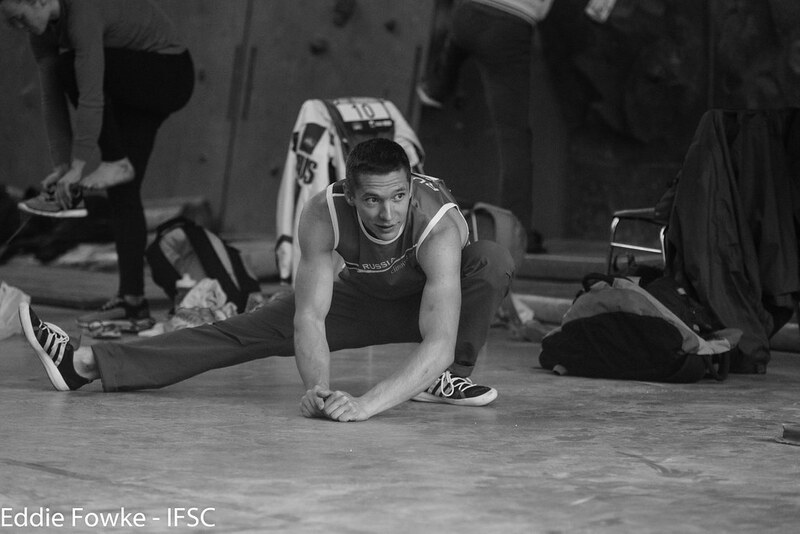 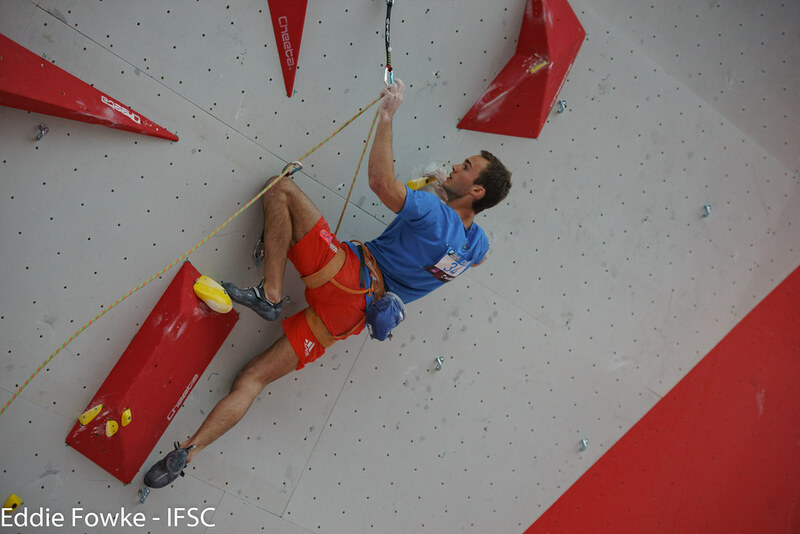 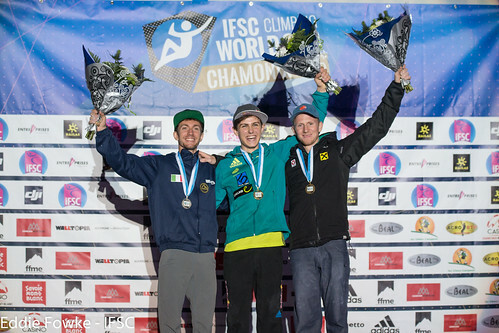 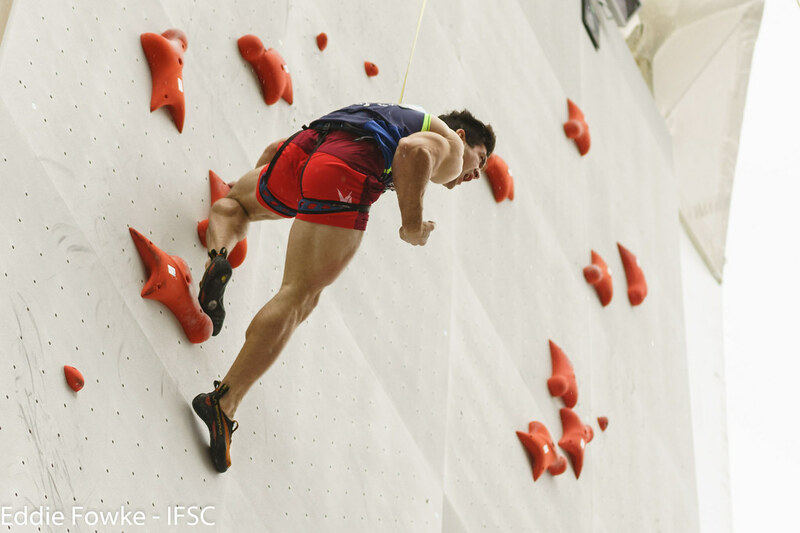 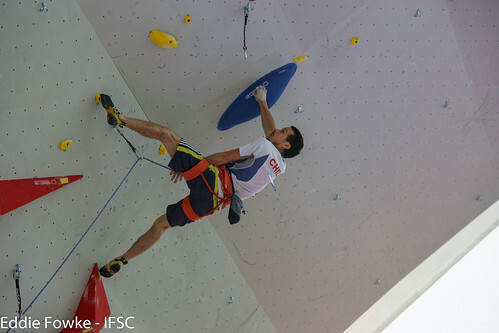 Veteran Jakob Schubert of Austria claimed Bronze in a countback to Semi-Finals, and Stefano Ghisolfi of Italy of Italy attempted one move more for second place. 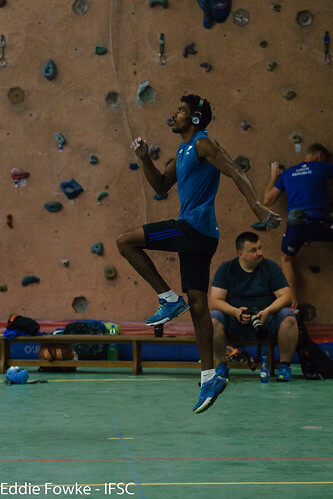 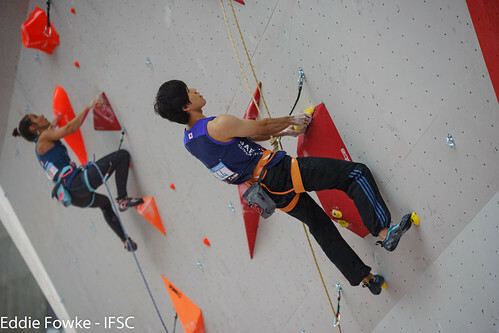 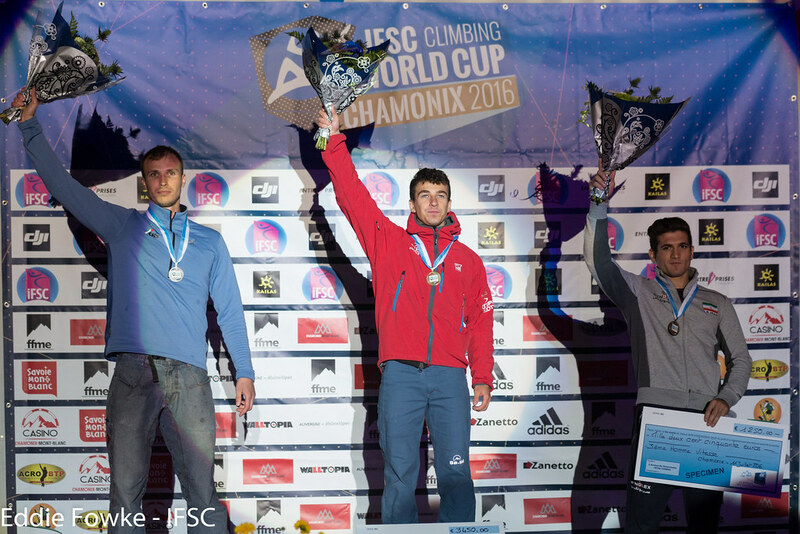 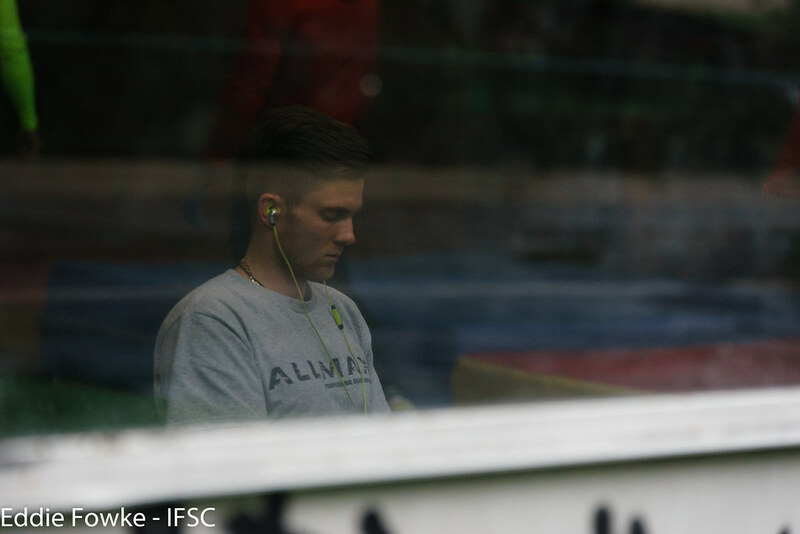 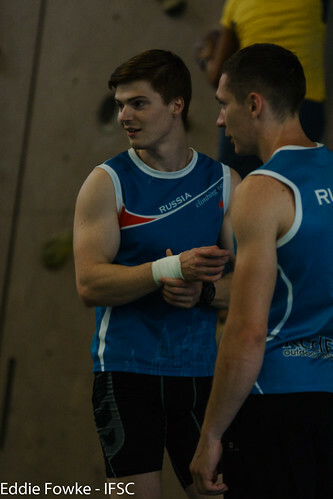 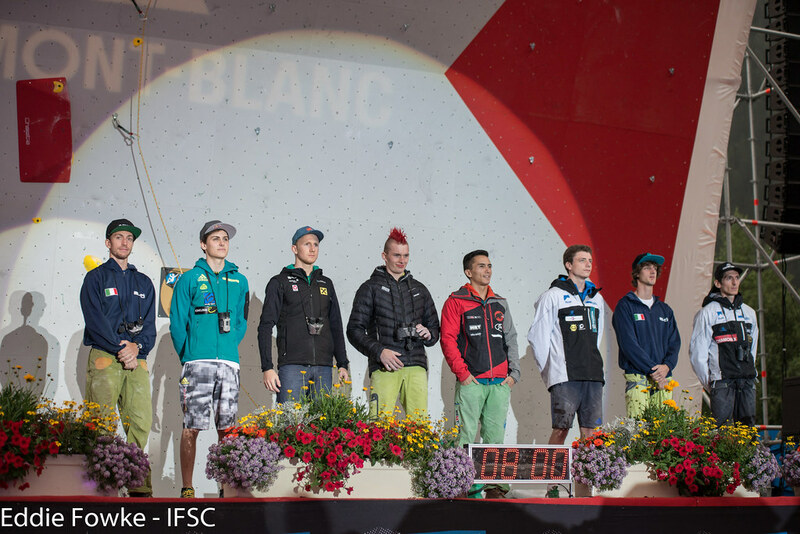 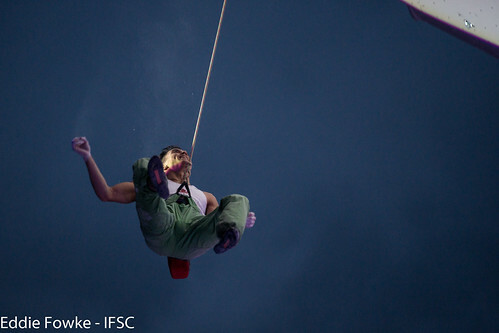 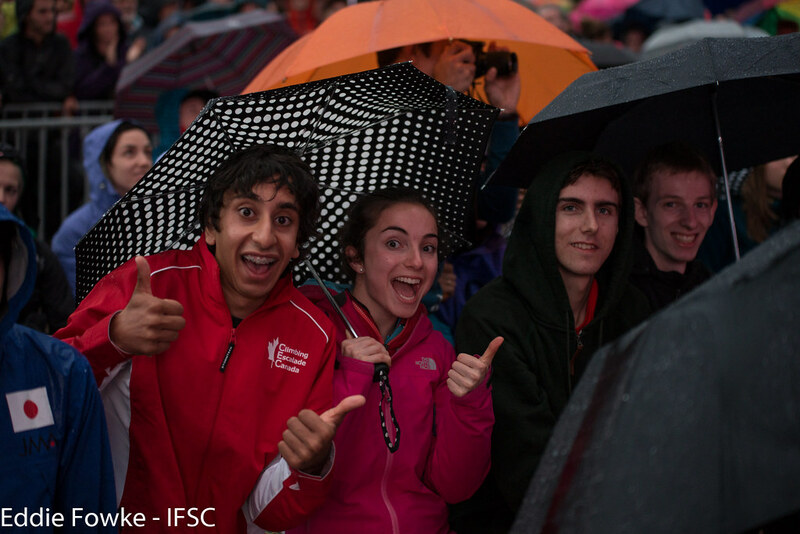 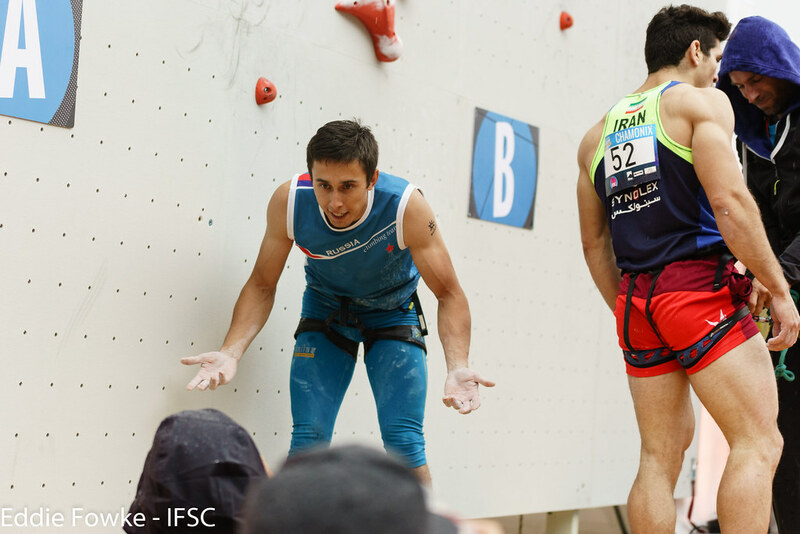 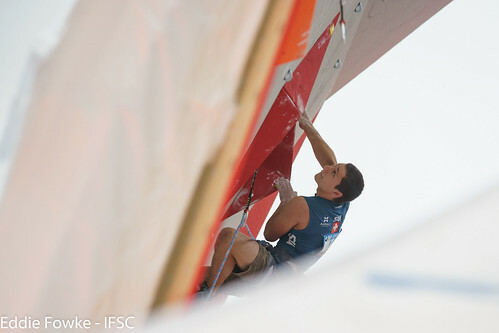 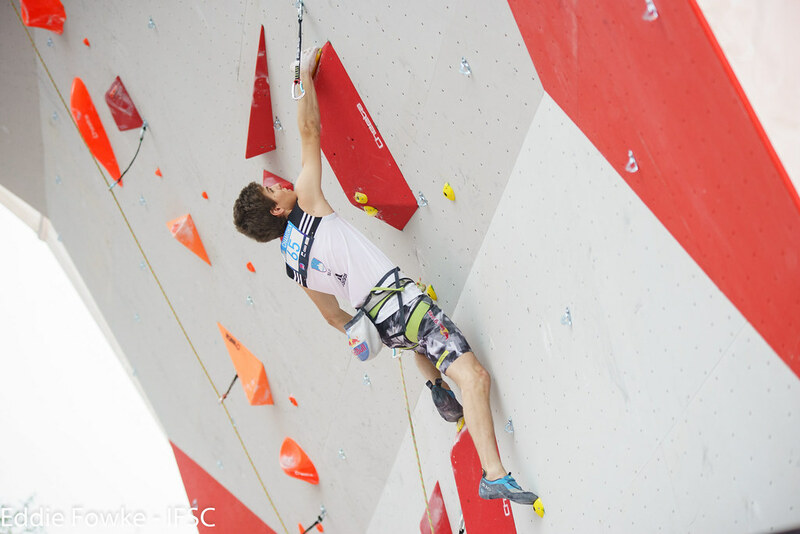 Only twenty-two-year-old Skofic touched the blue slopers beyond the volume for his second World Cup Gold. 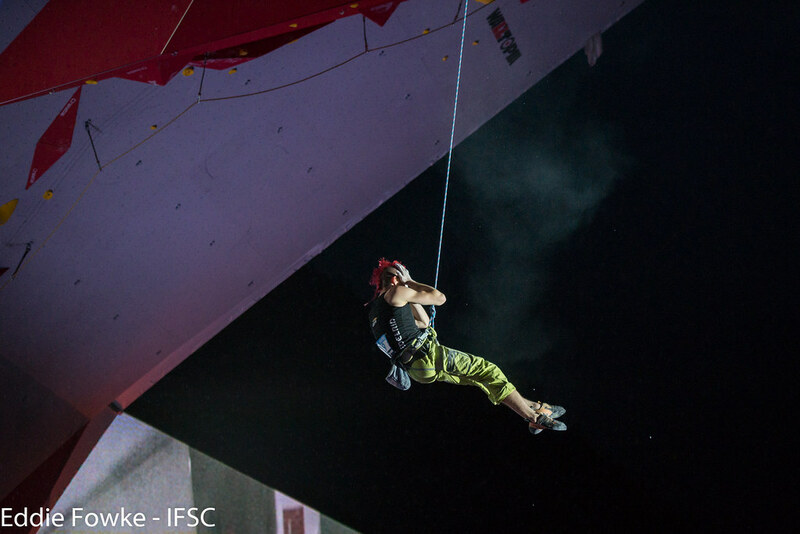 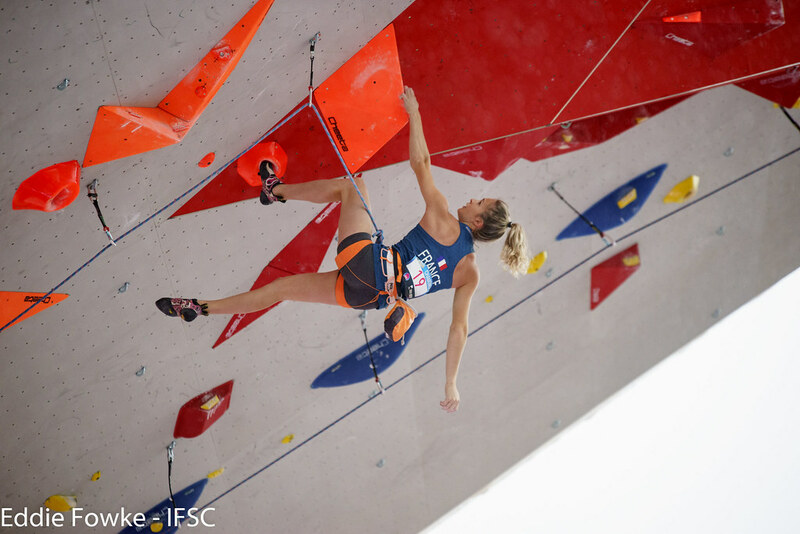 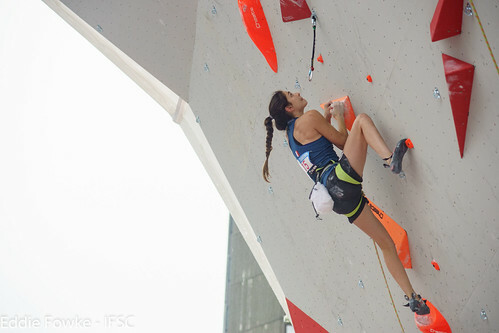 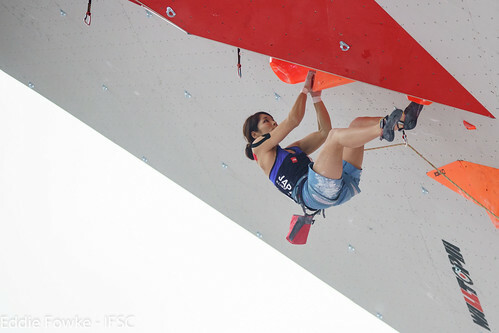 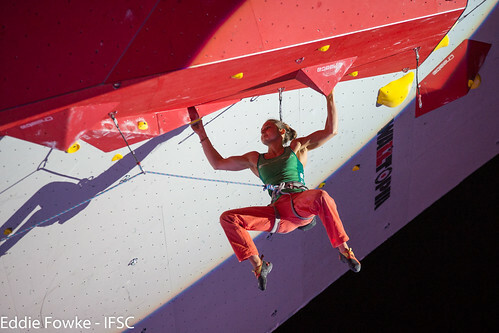 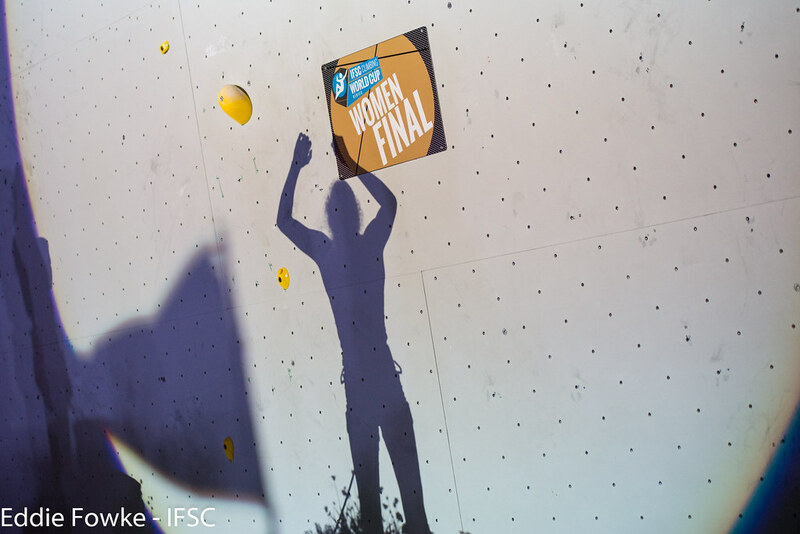 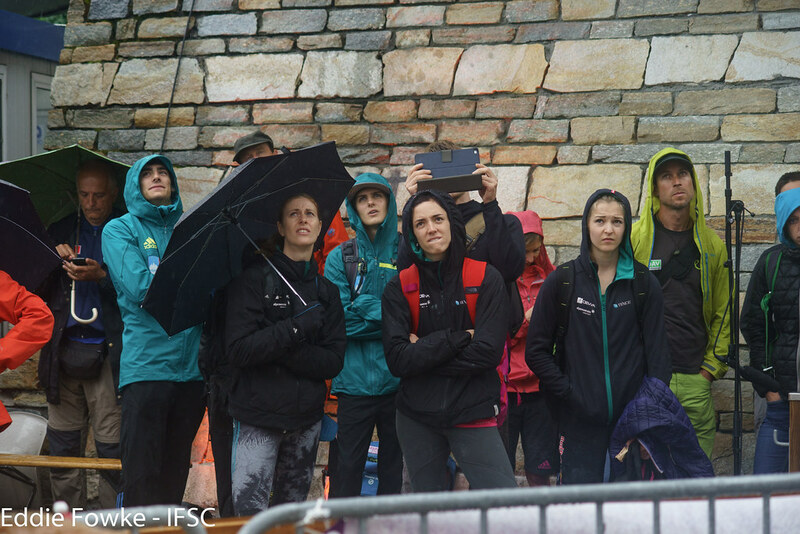 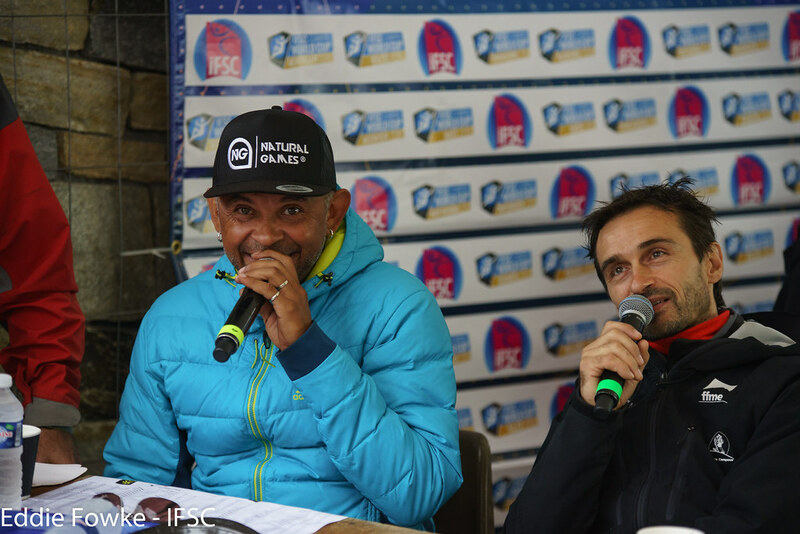 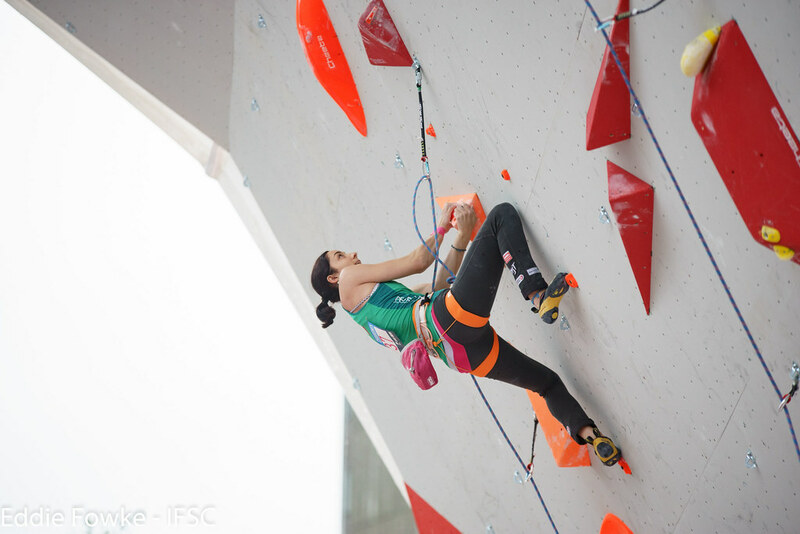 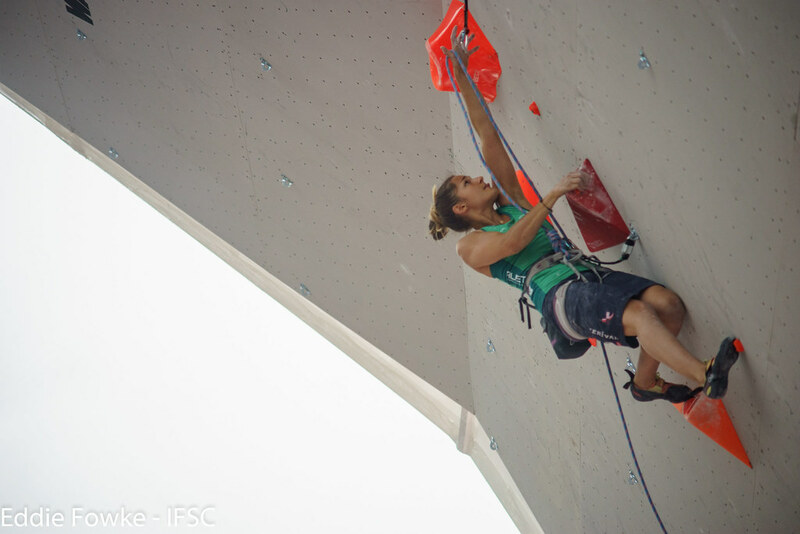 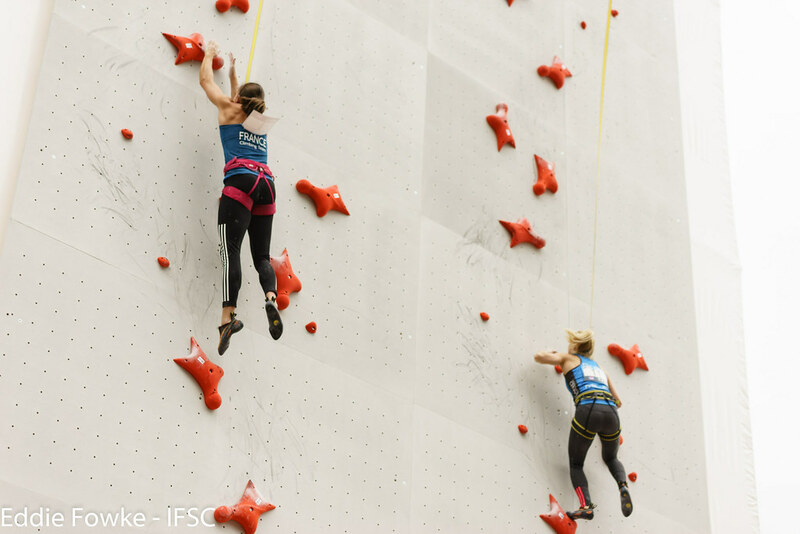 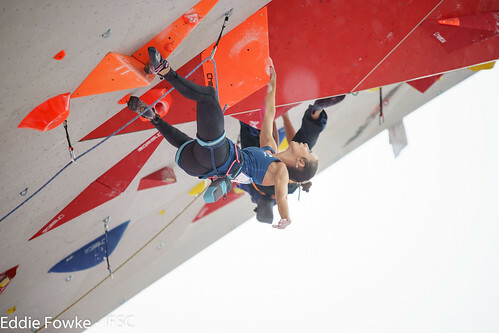 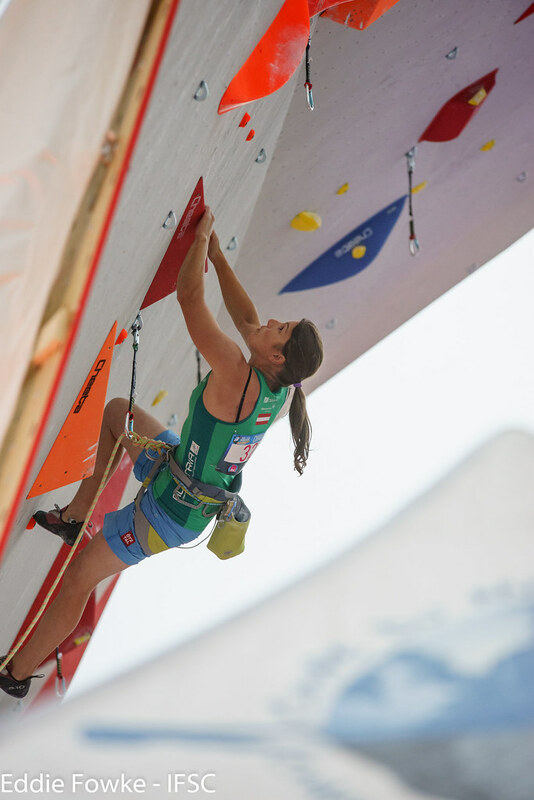 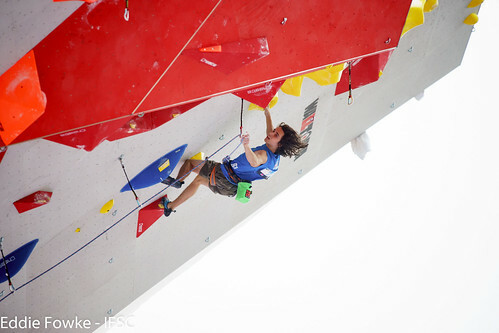 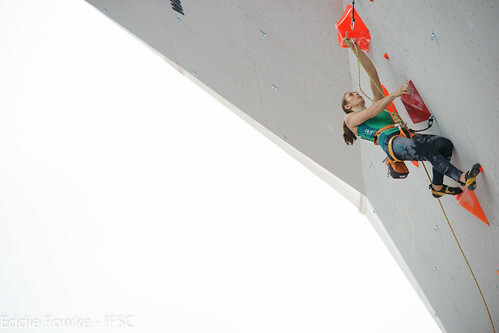 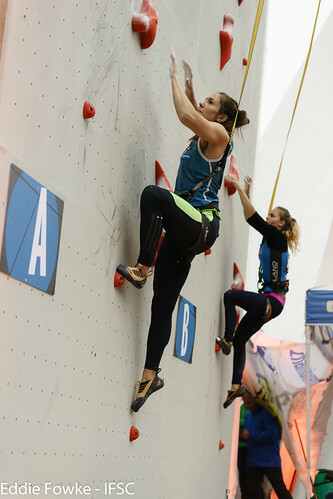 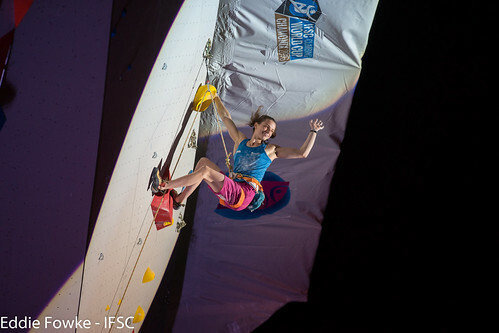 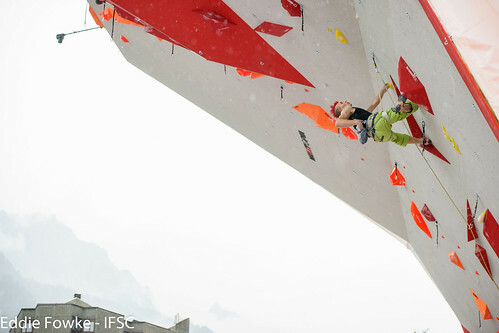 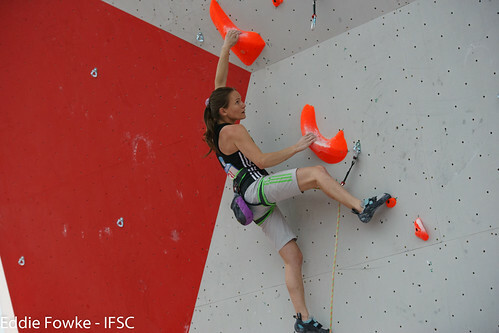 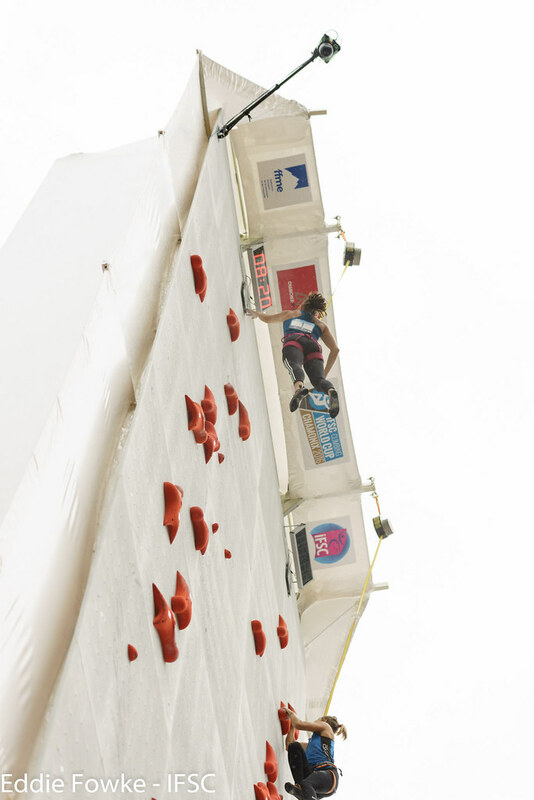 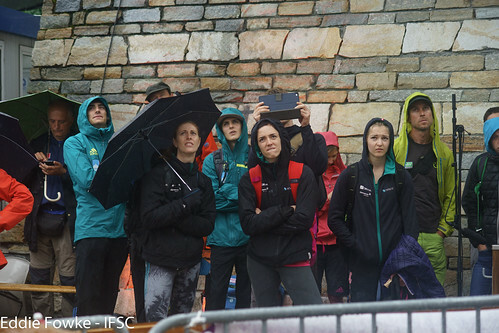 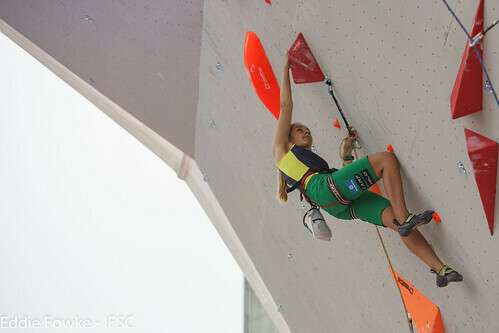 For the women, Magdalena Rock of Austria was the first female to reach the yellow slopers on the top panel, but again the final three climbers surprised. 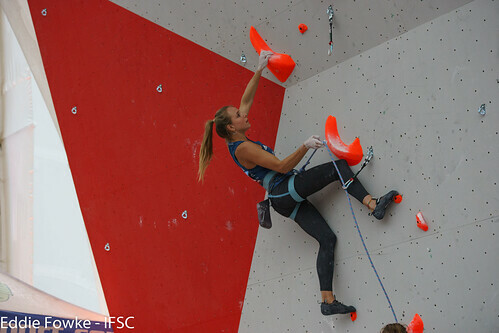 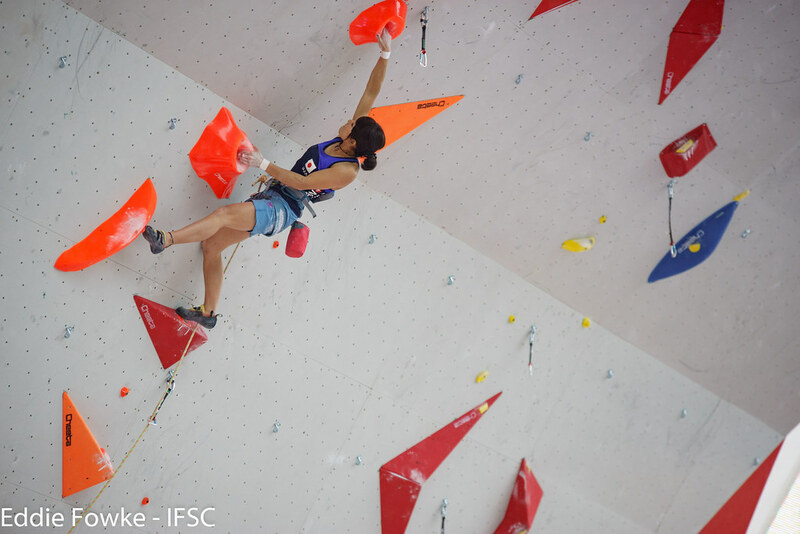 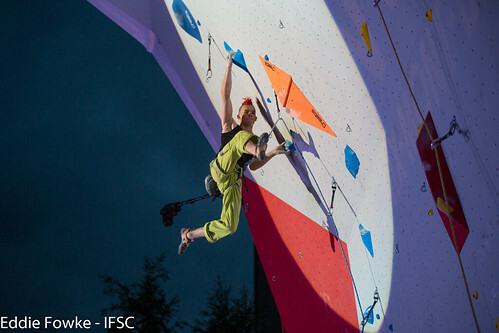 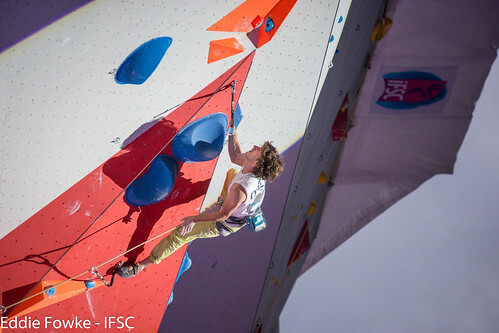 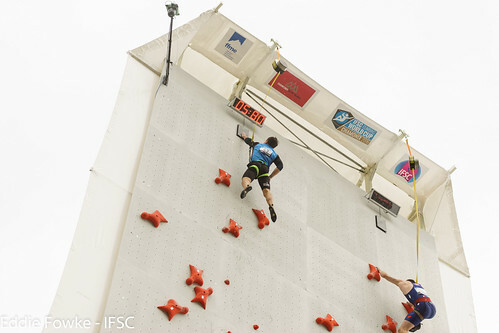 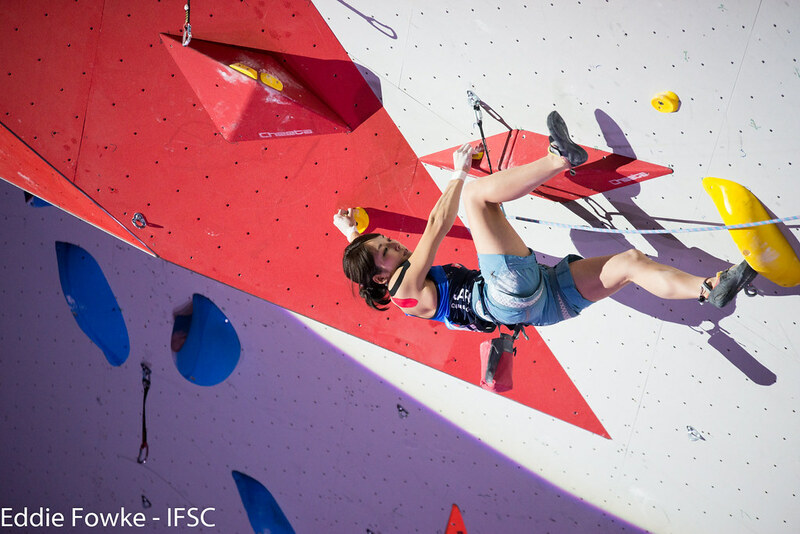 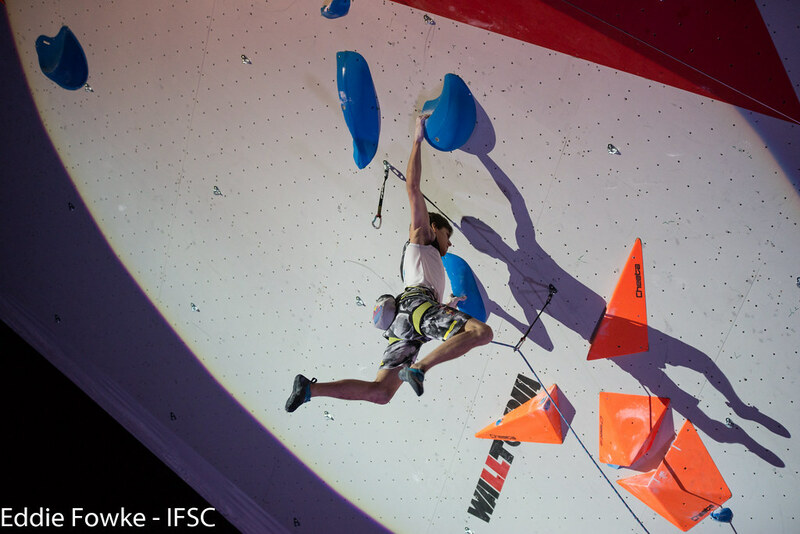 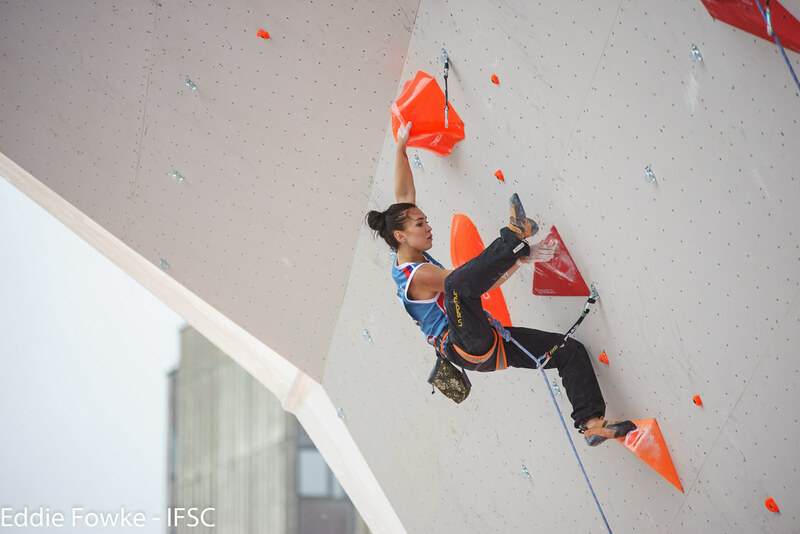 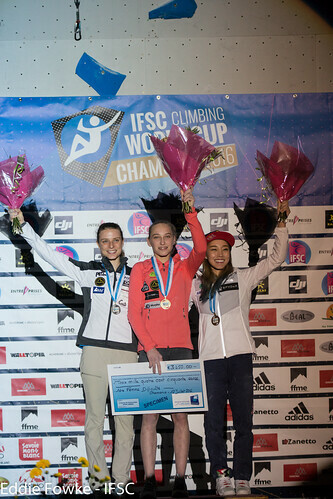 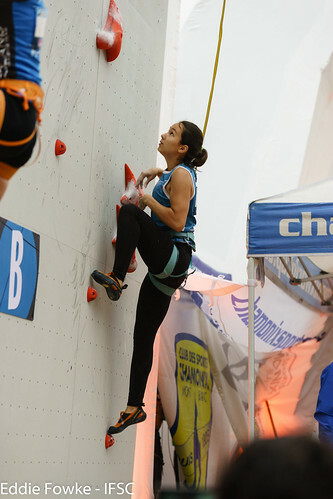 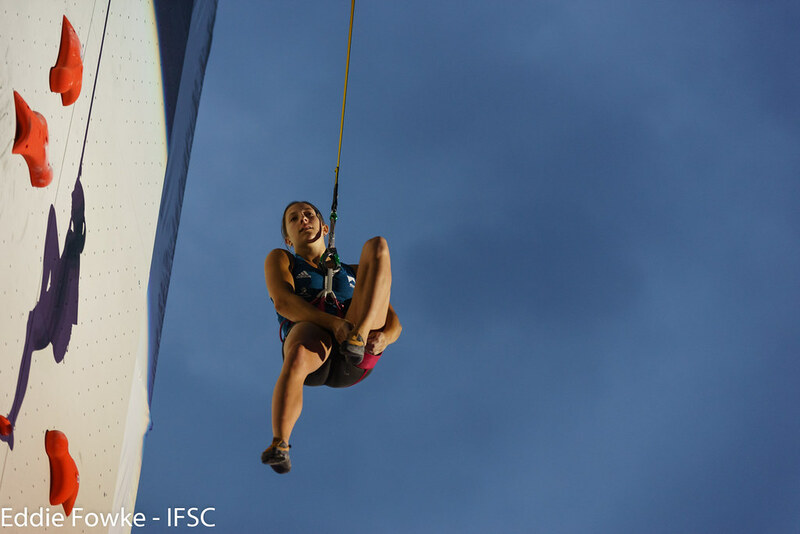 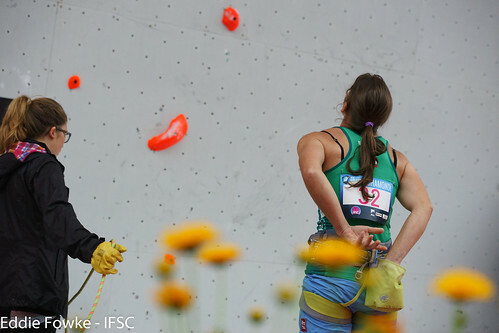 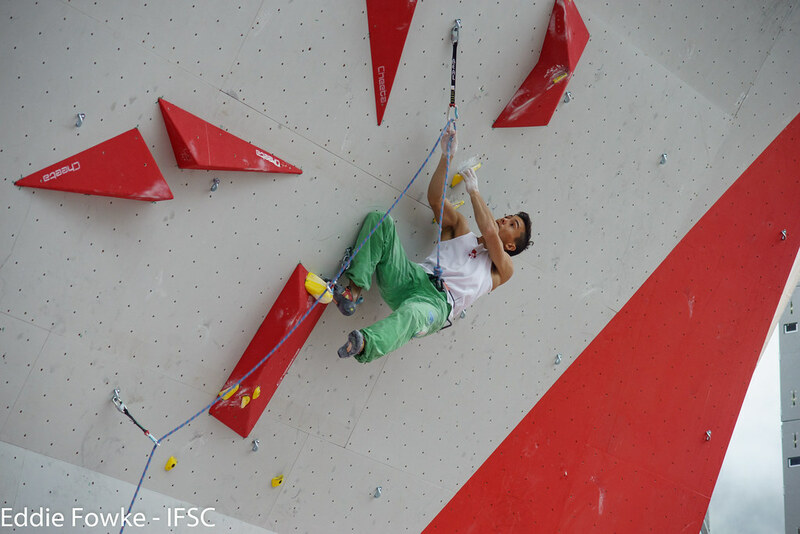 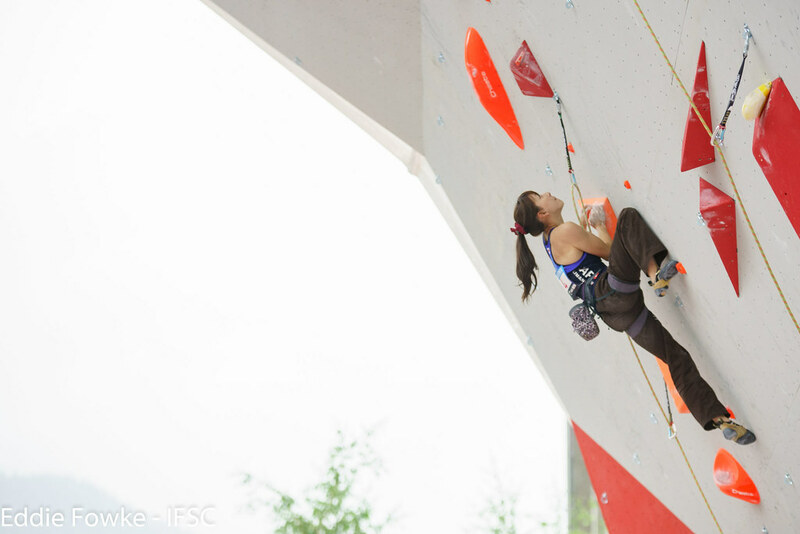 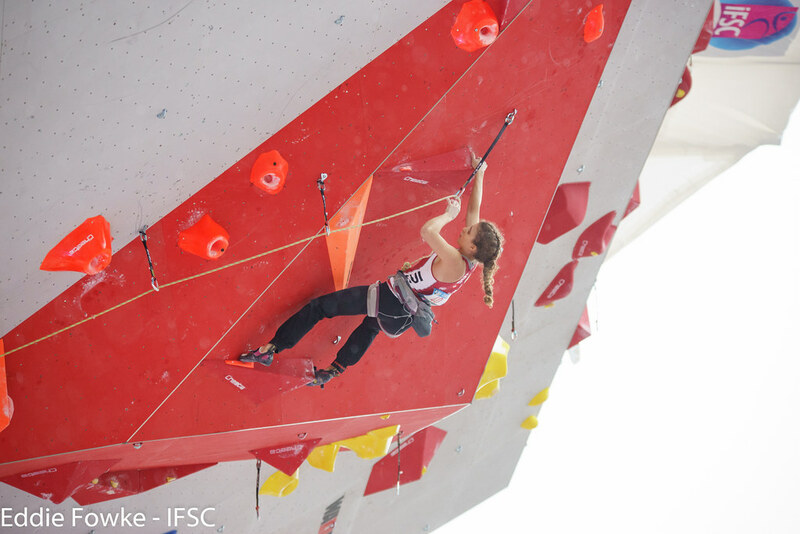 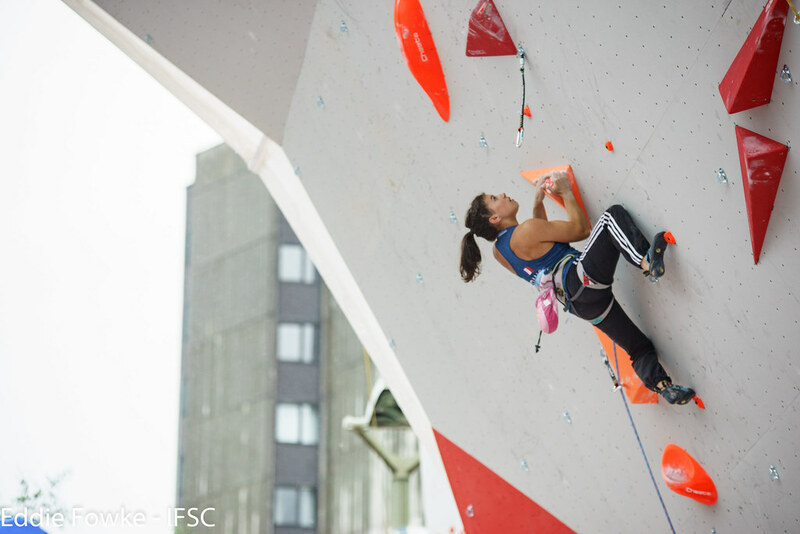 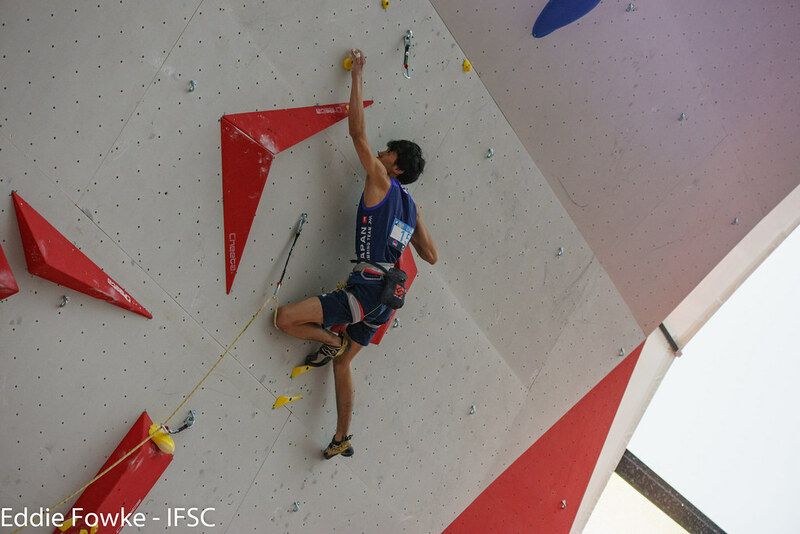 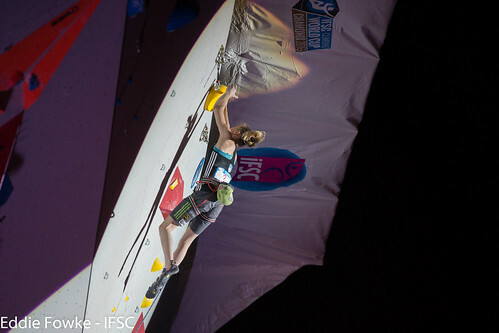 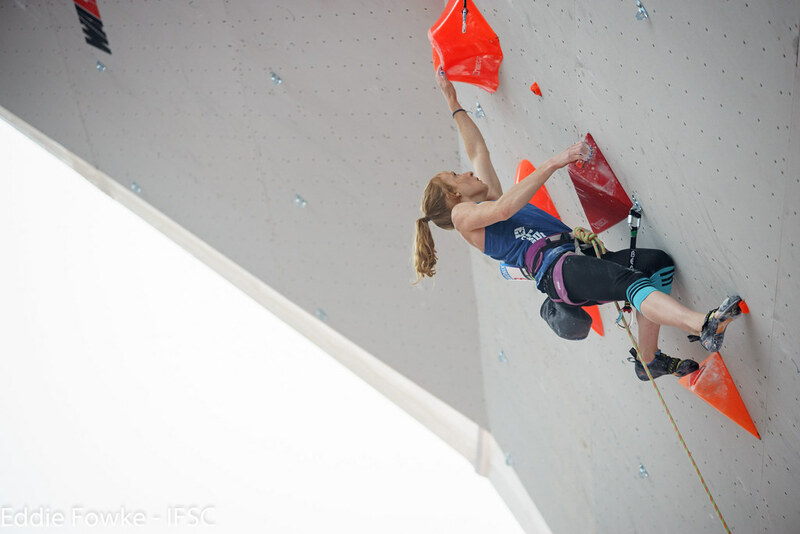 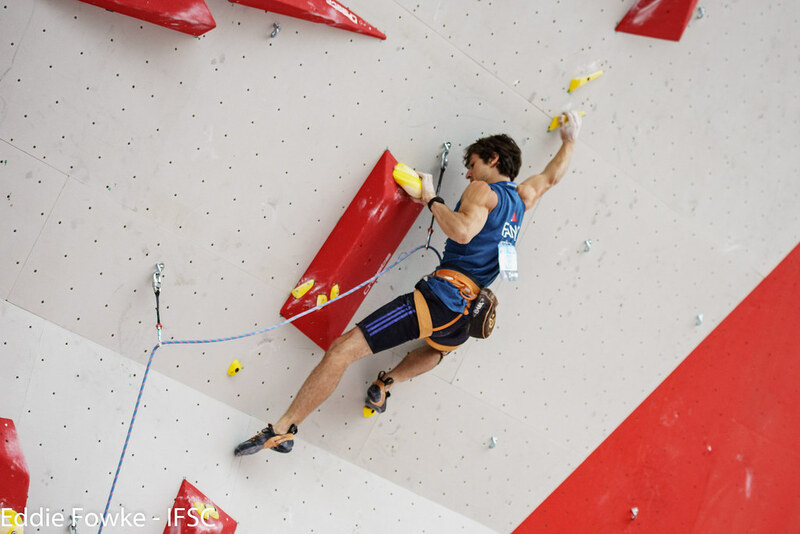 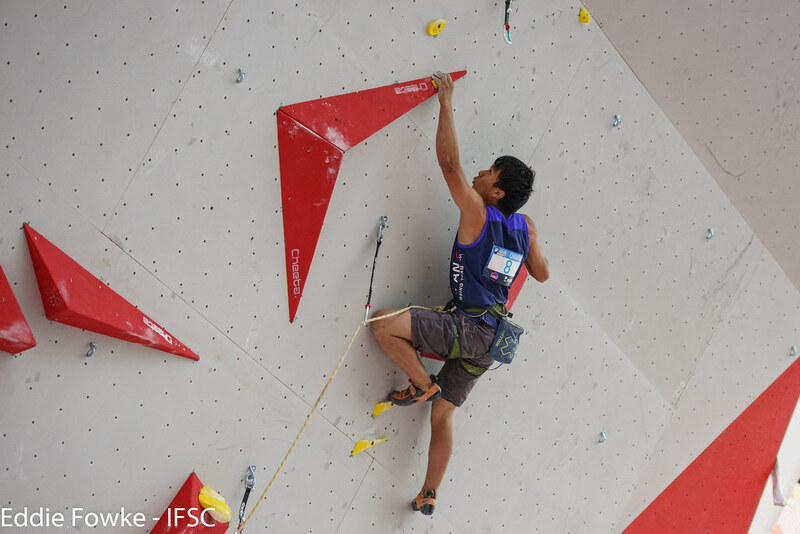 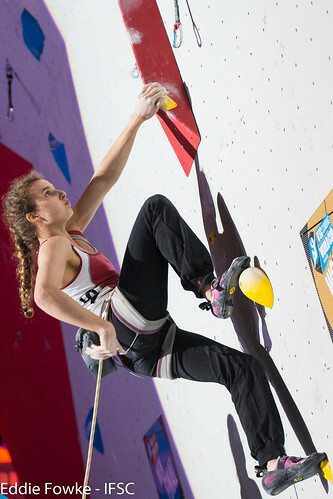 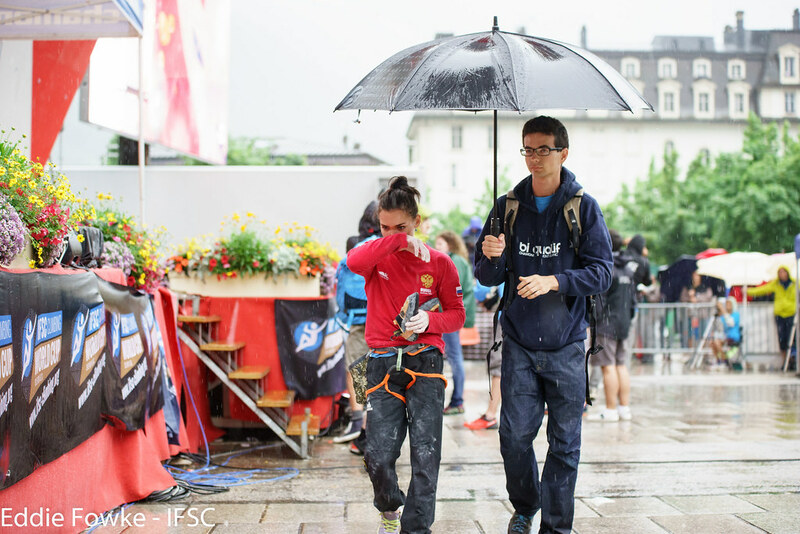 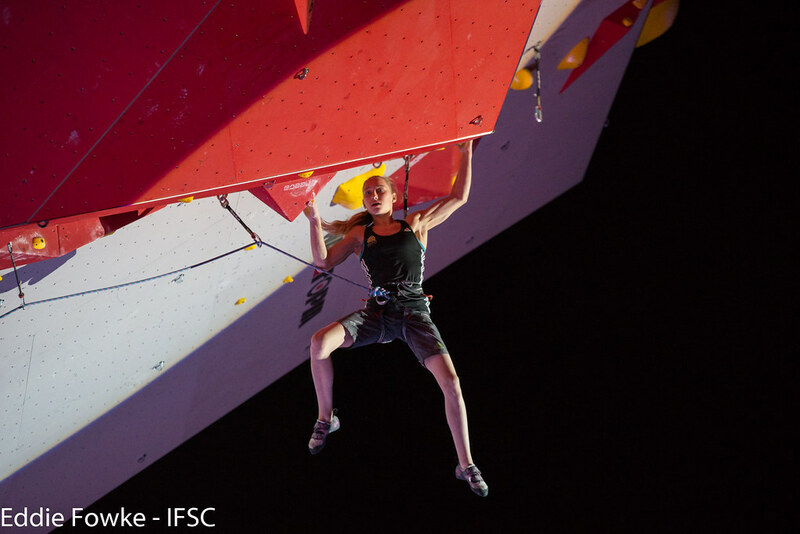 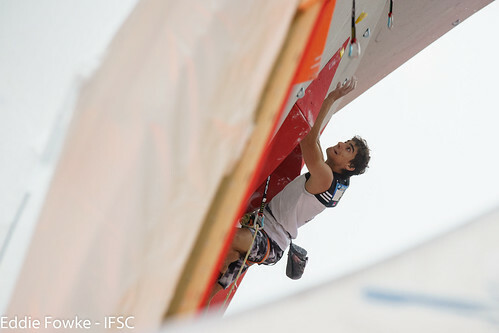 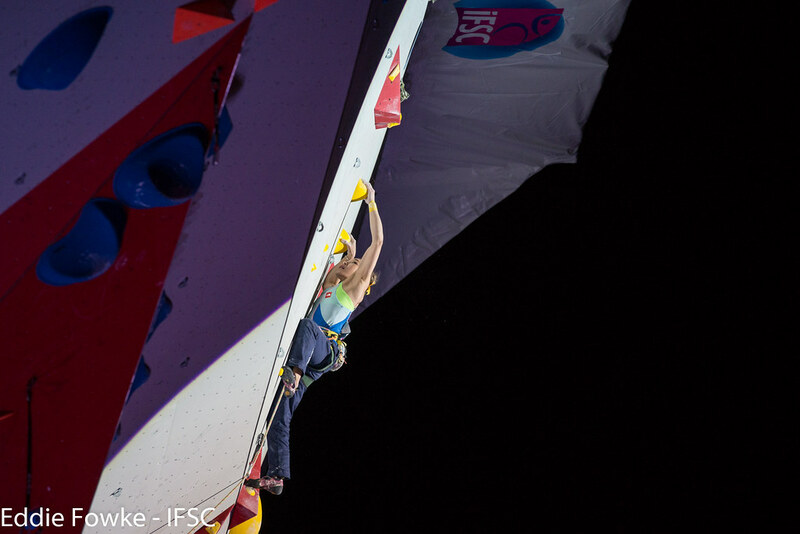 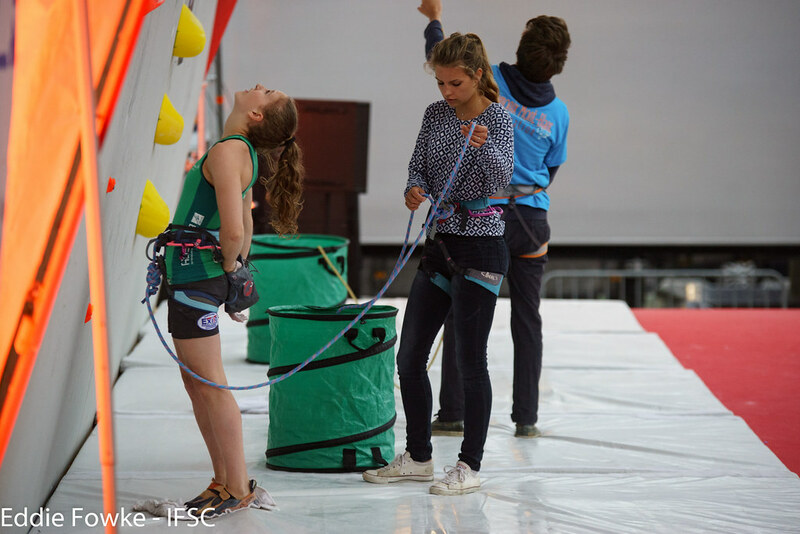 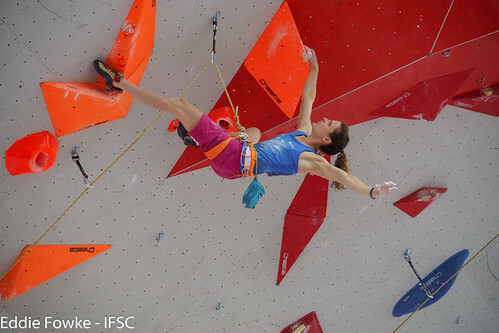 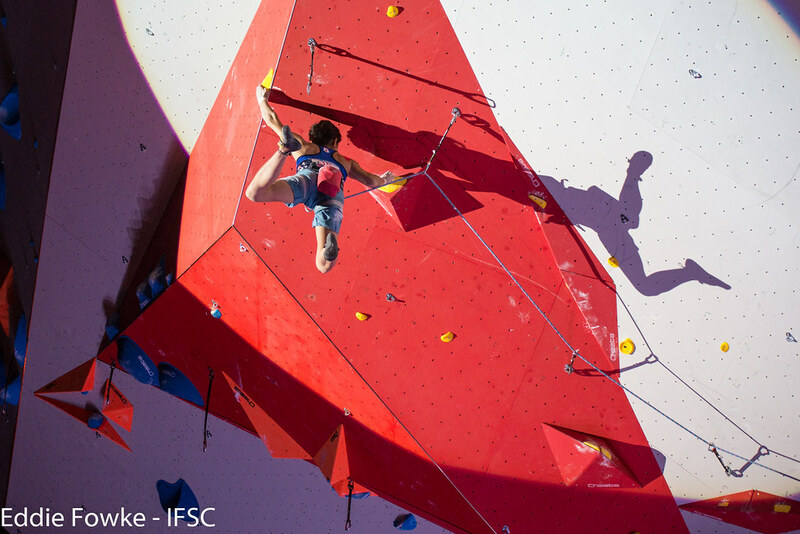 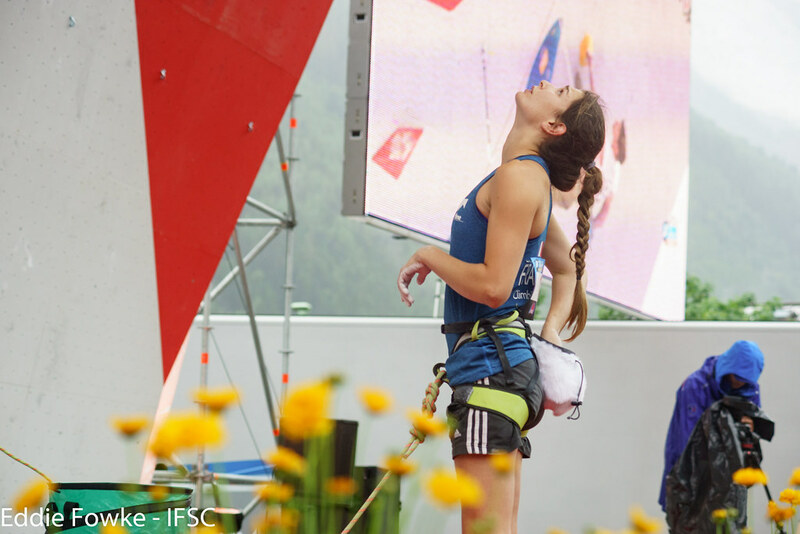 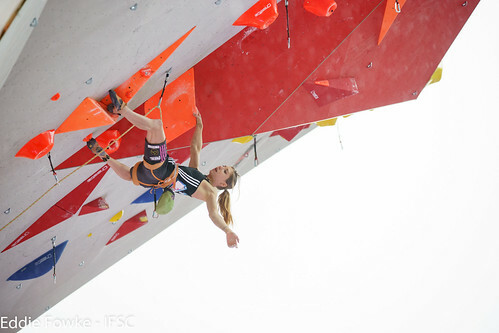 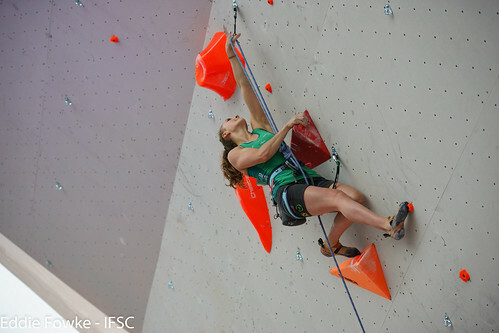 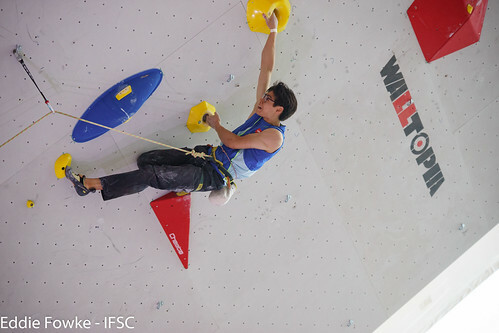 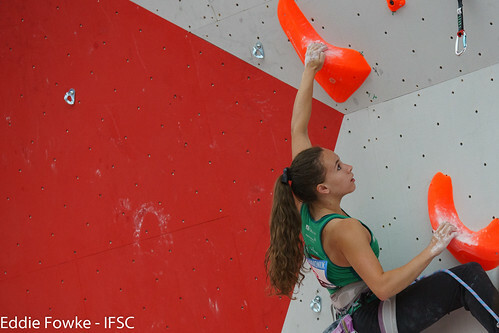 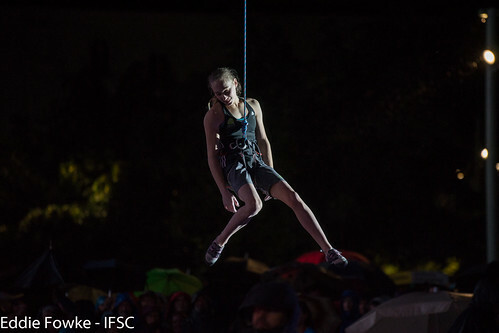 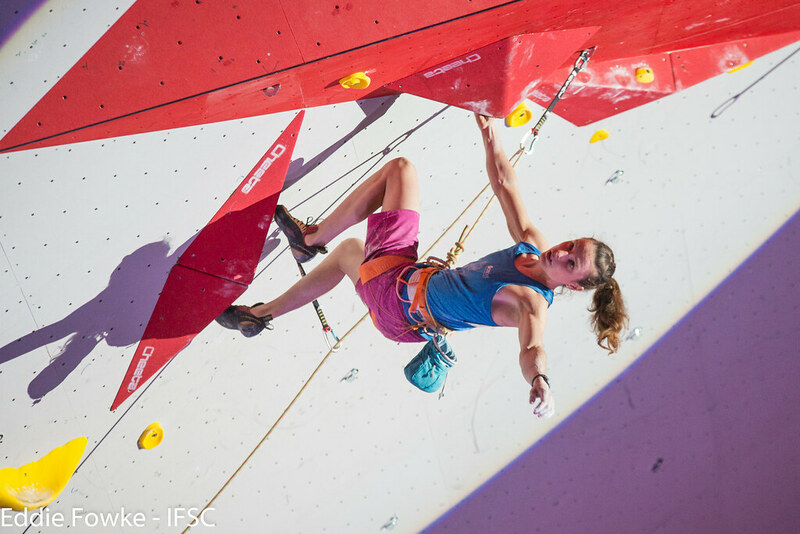 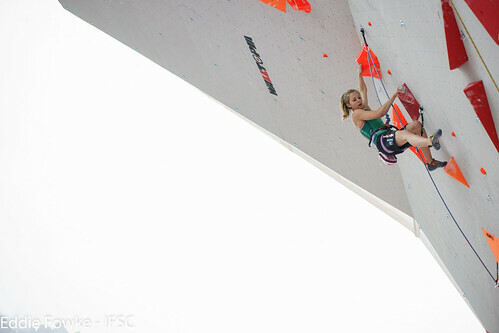 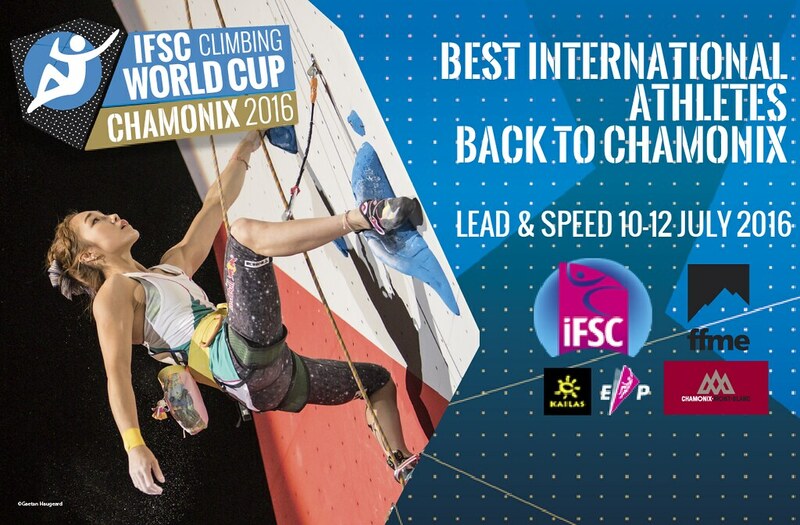 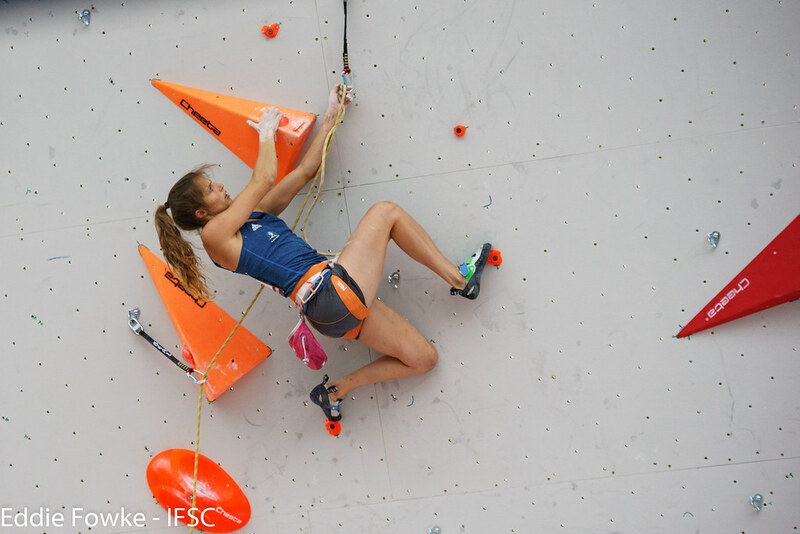 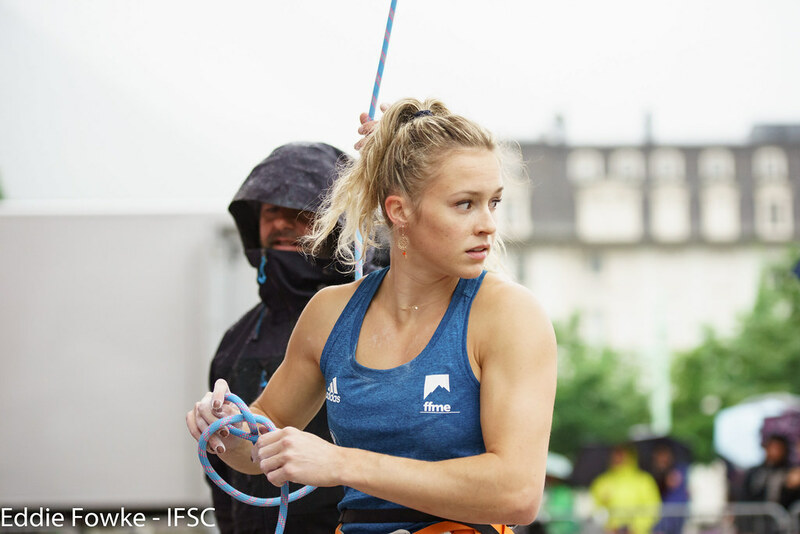 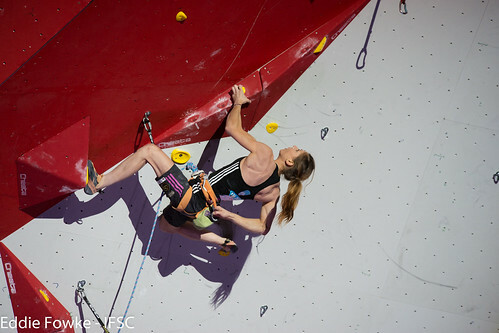 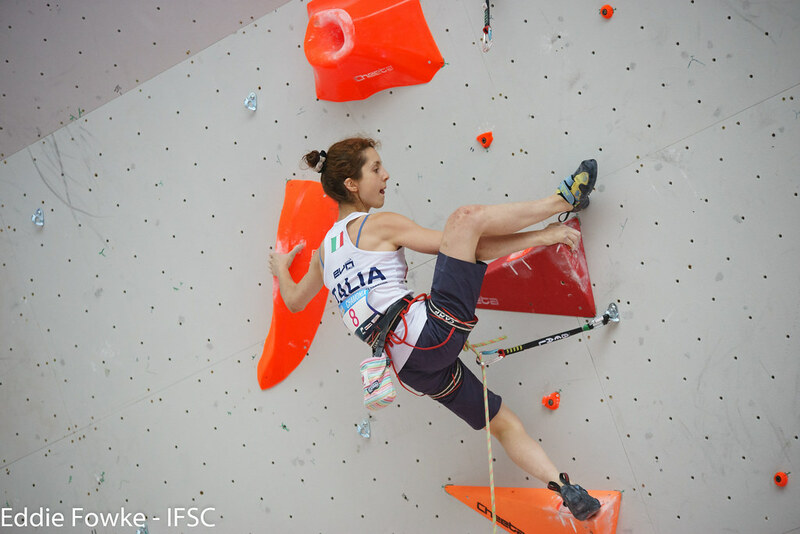 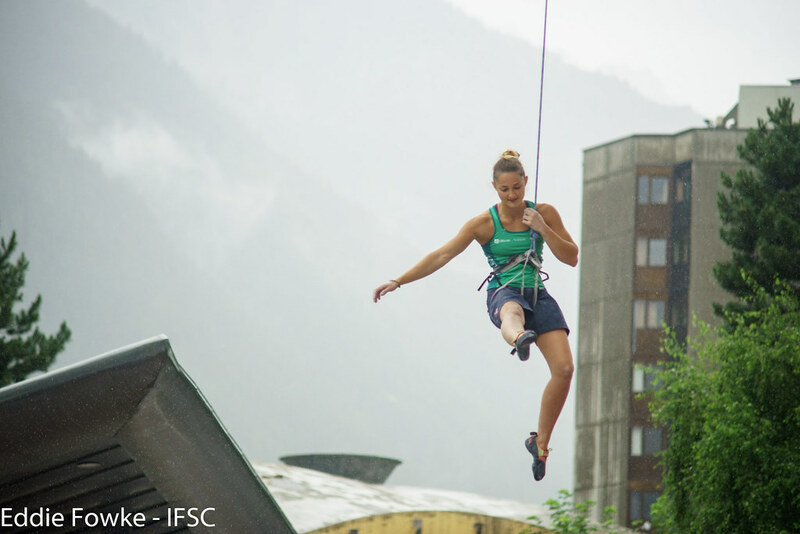 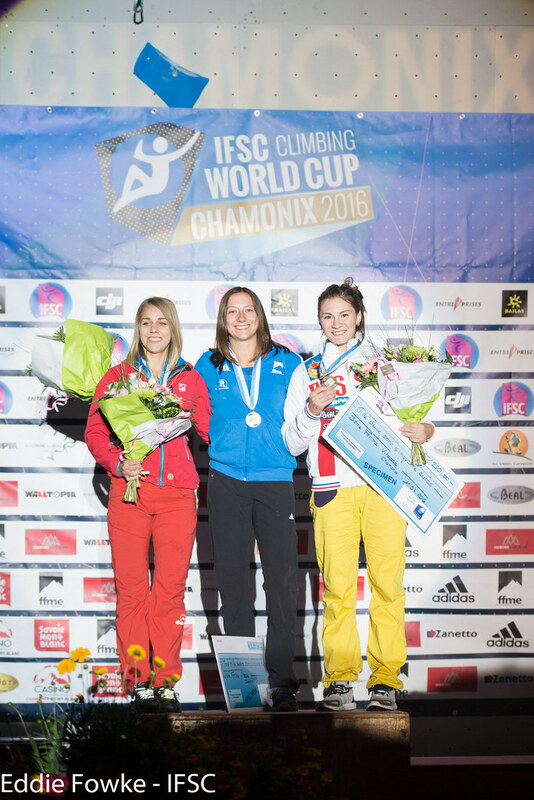 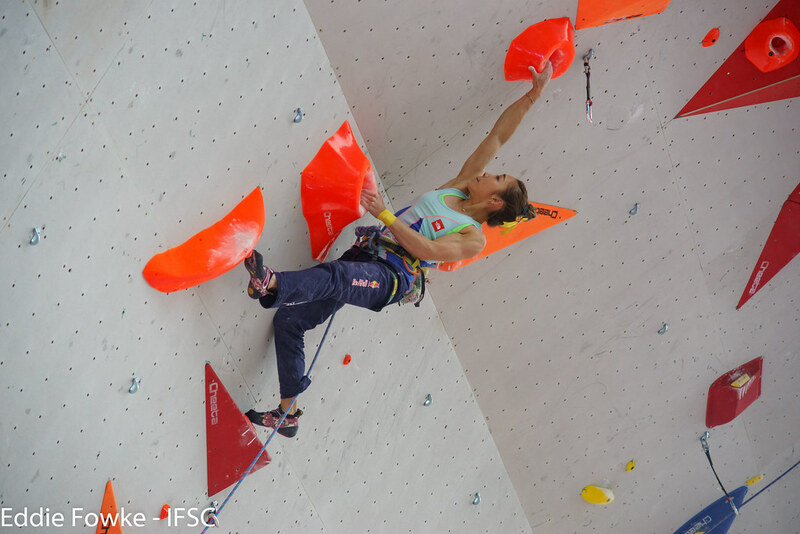 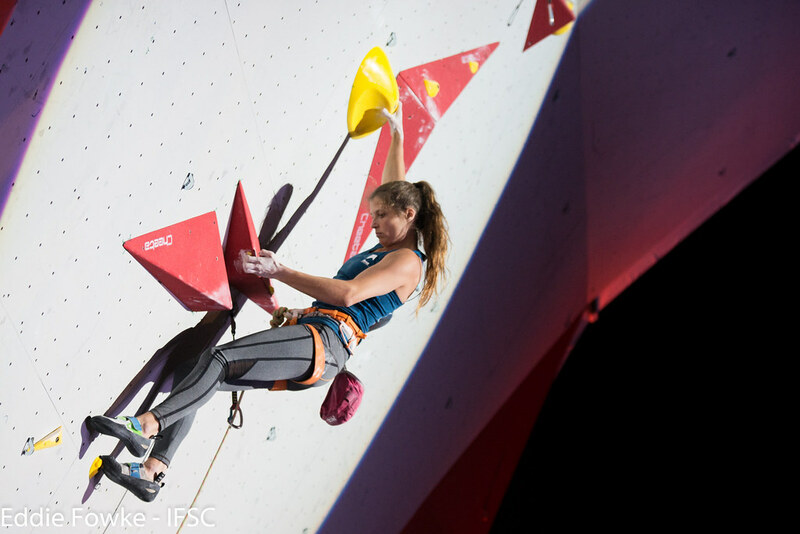 Anak Verhoeven of Belgium calmly clipped the chains at the Top, but seventeen-year-old Garnbret snatched the Gold with a Top of her own. 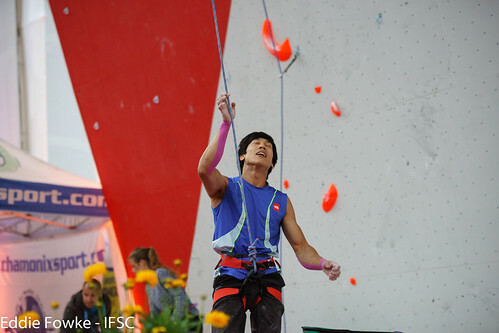 Veteran Jain Kim of Korea rounded out the podium with a fall just before the final move. 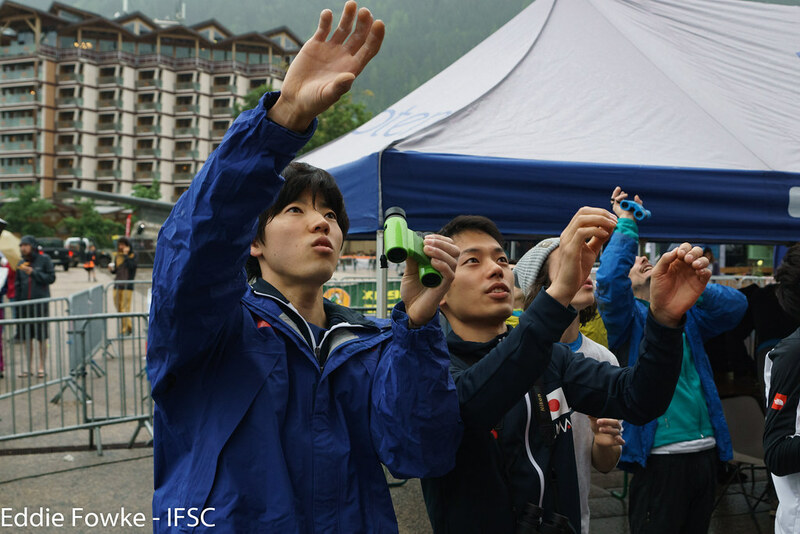 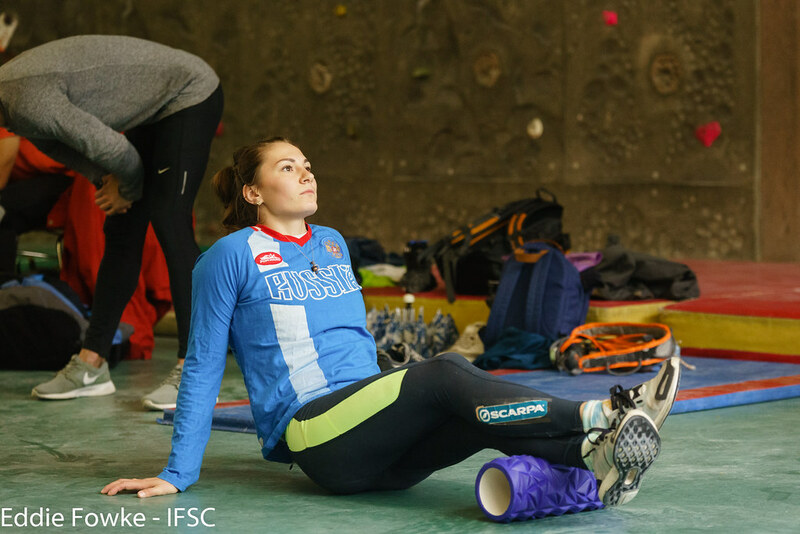 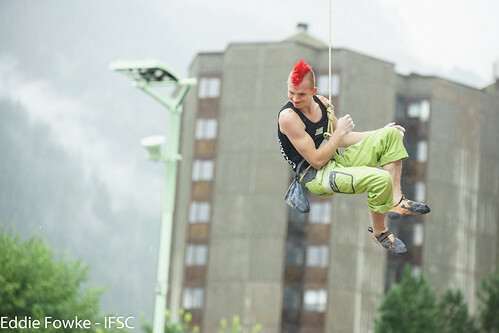 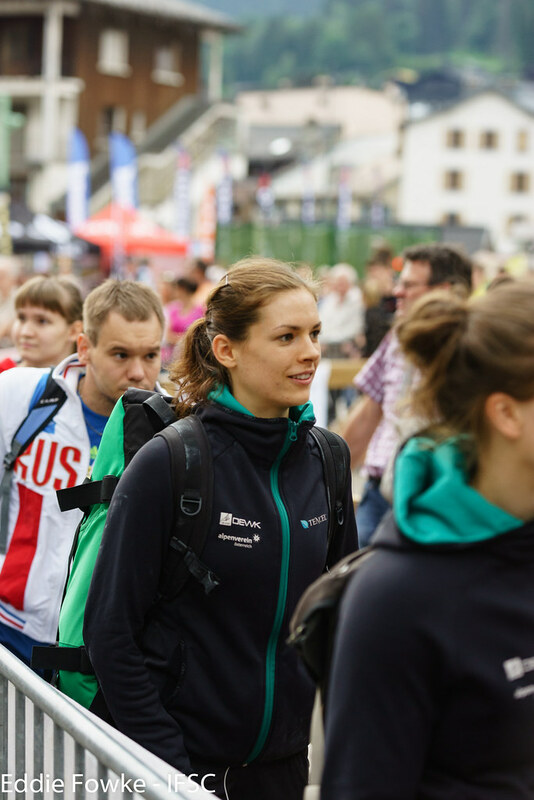 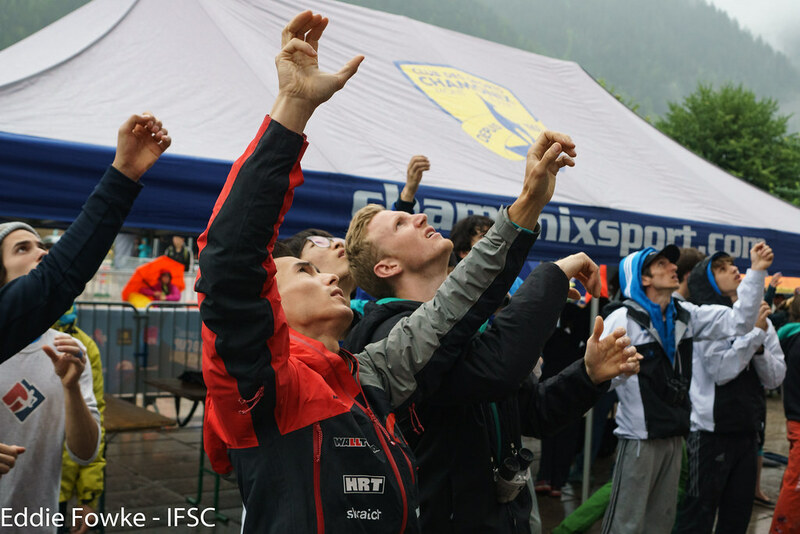 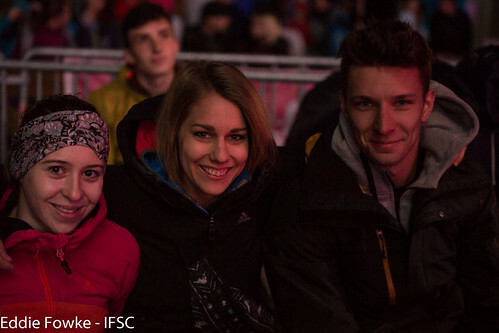 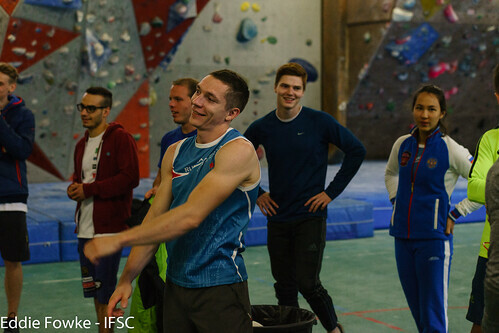 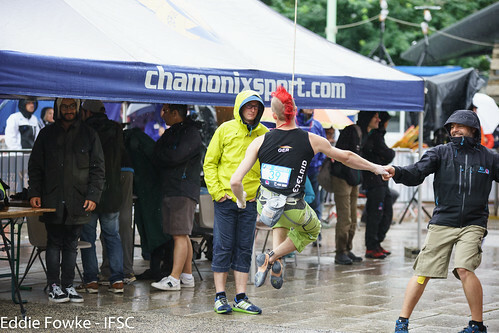 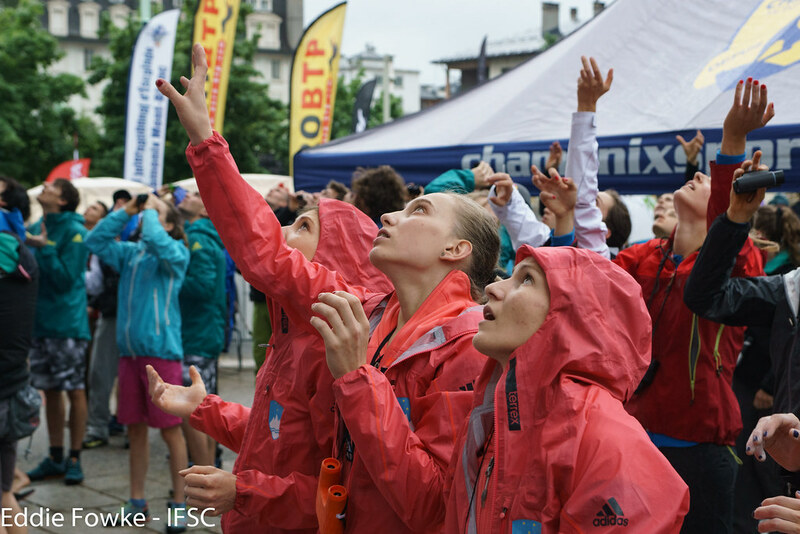 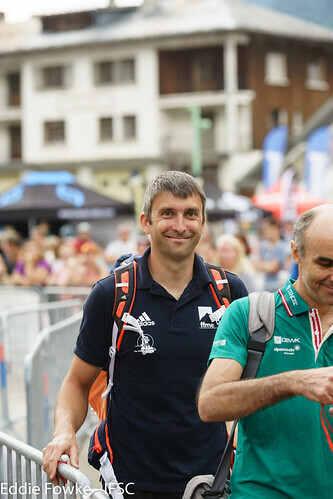 Libor Hroza of the Czech Republic looked strong in Chamonix, but the seasoned Speed athlete settled for his third second-place finish this year after a slow start in the final race. After missing the Gold-medal round by three hundredths of a second, Reza Alipourshenazandifar of Iran rounded out the podium after an emotional rebound in the Bronze-medal match against Stanislav Kokorin of Russia. Dzienski remained on top all day with multiple runs under six seconds. 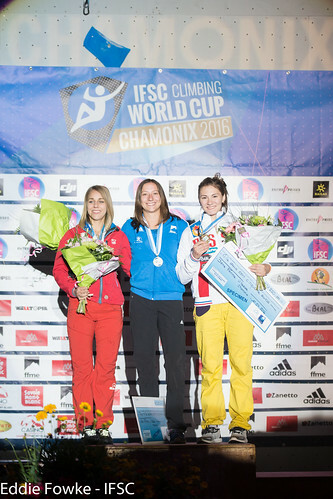 For the women, Aleksandra Rudzinska slipped in the Gold medal face-off with Jaubert, but the Polish athlete still earned her second medal of the season. 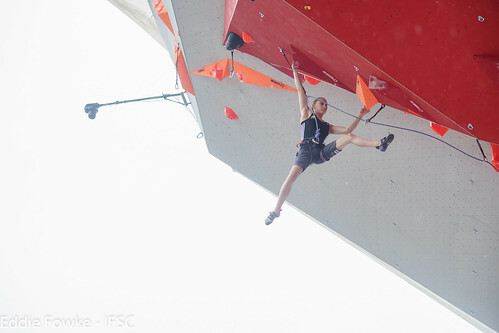 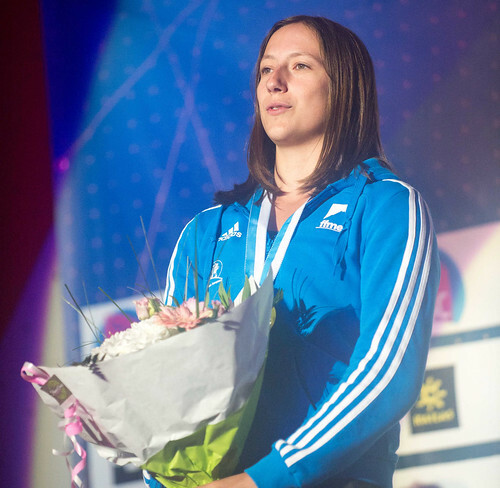 Her teammate, Klaudia Buczek, finished just shy of the podium when Anna Tsyganova of Russia posted a flawless final lap. 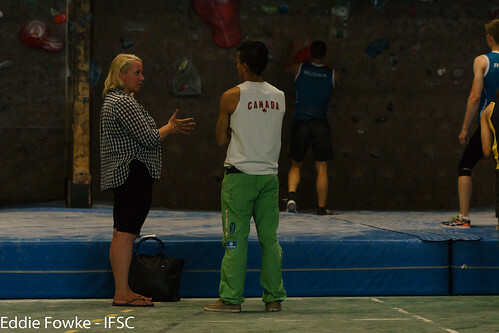 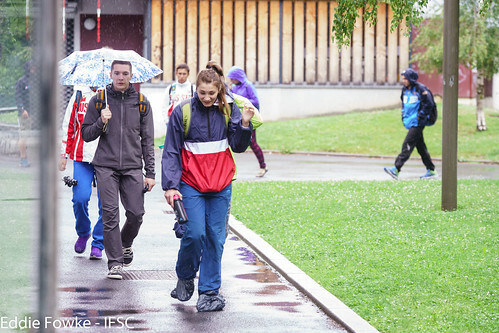 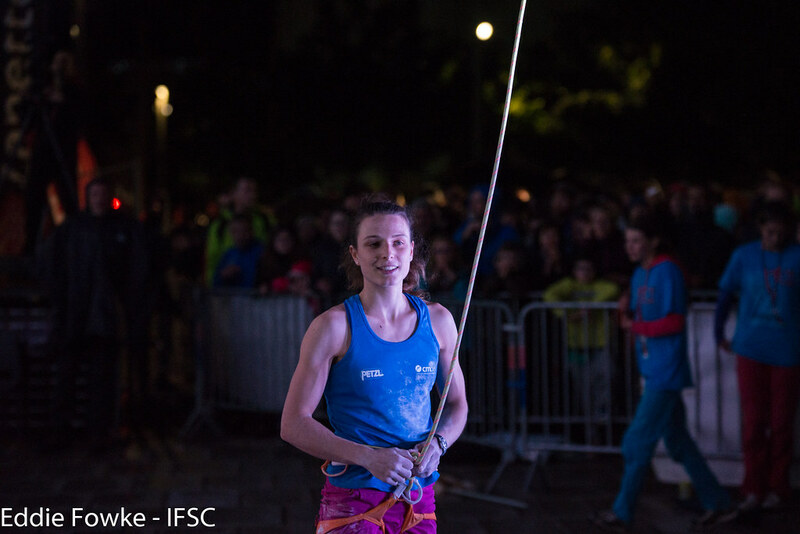 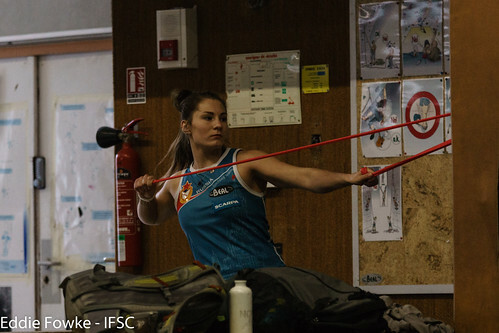 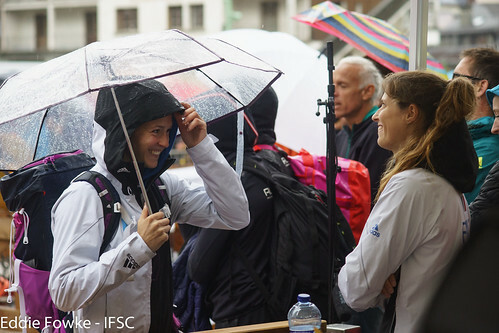 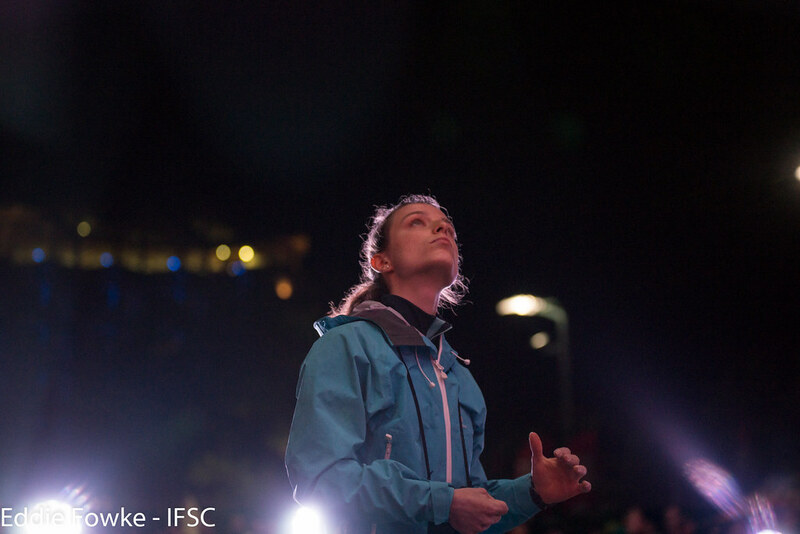 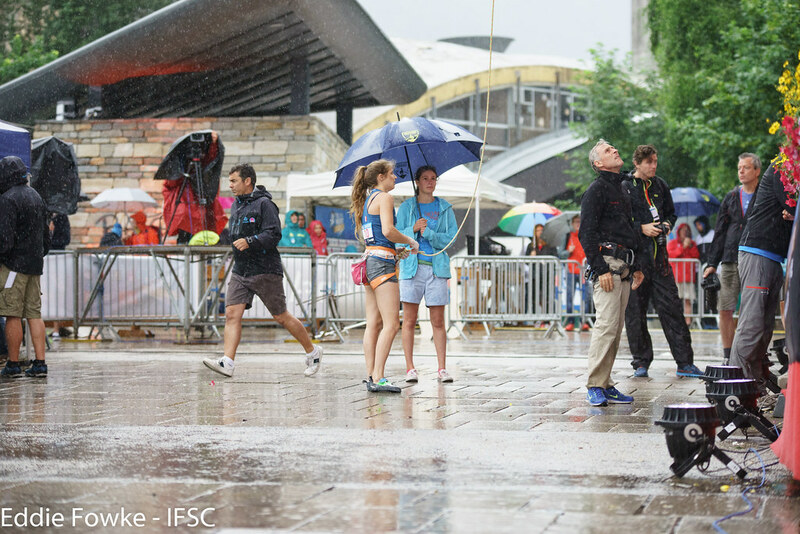 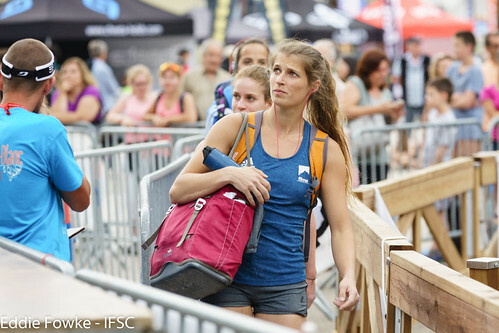 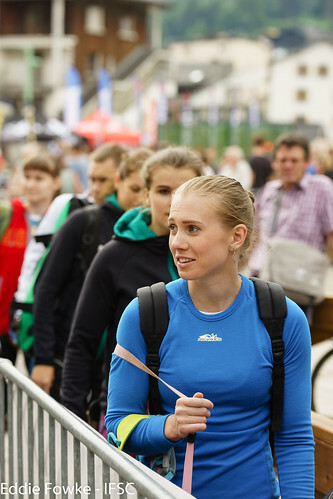 In the end, Jaubert earned the fourth World Cup Gold of her career on her home turf.